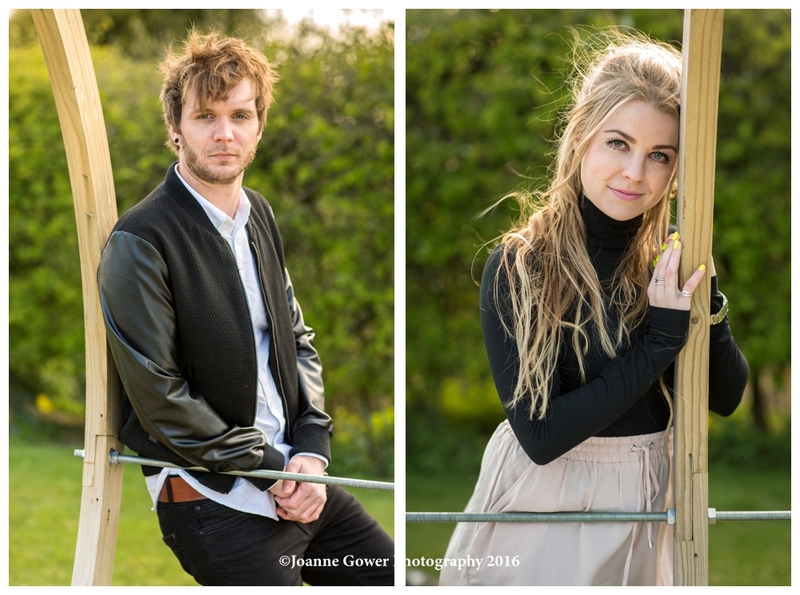 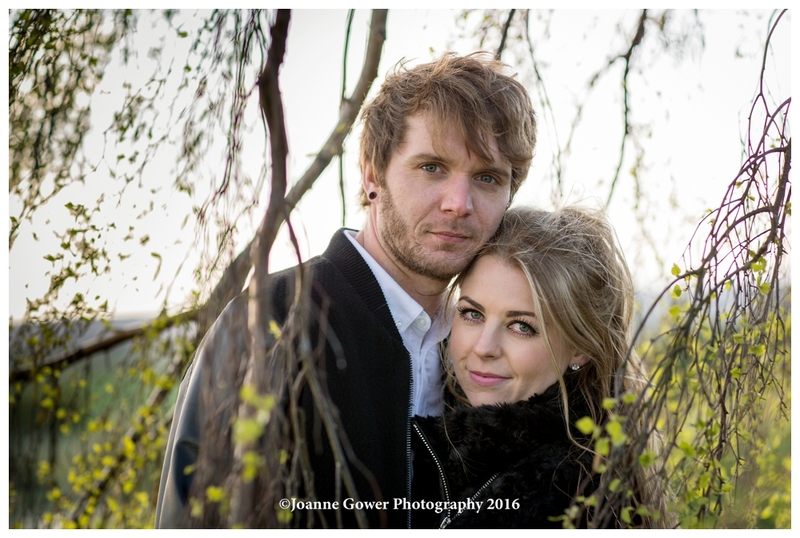 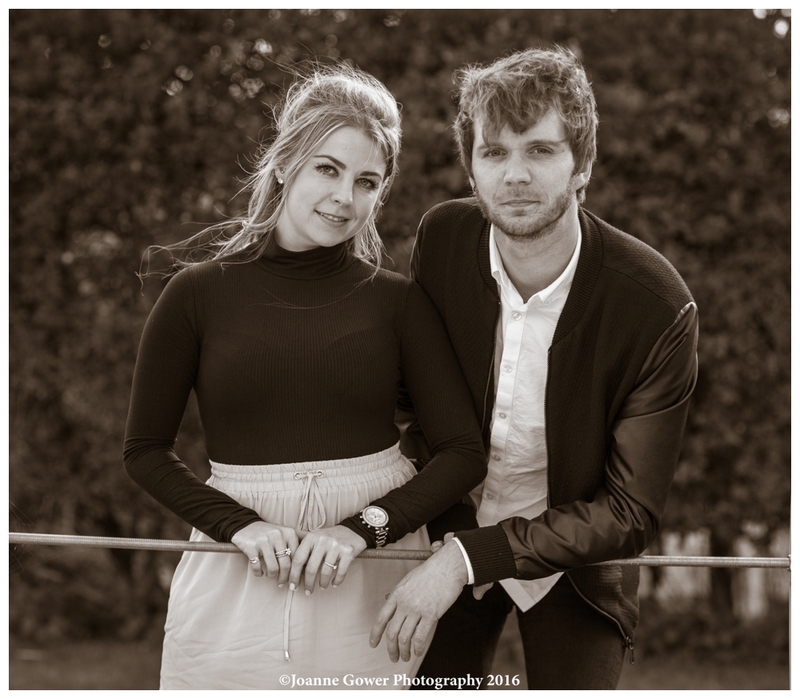 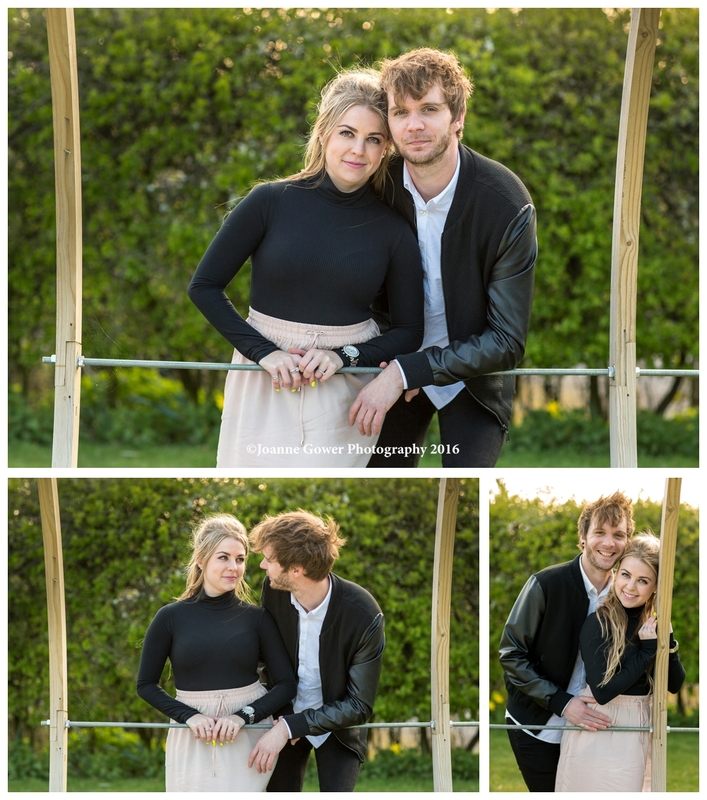 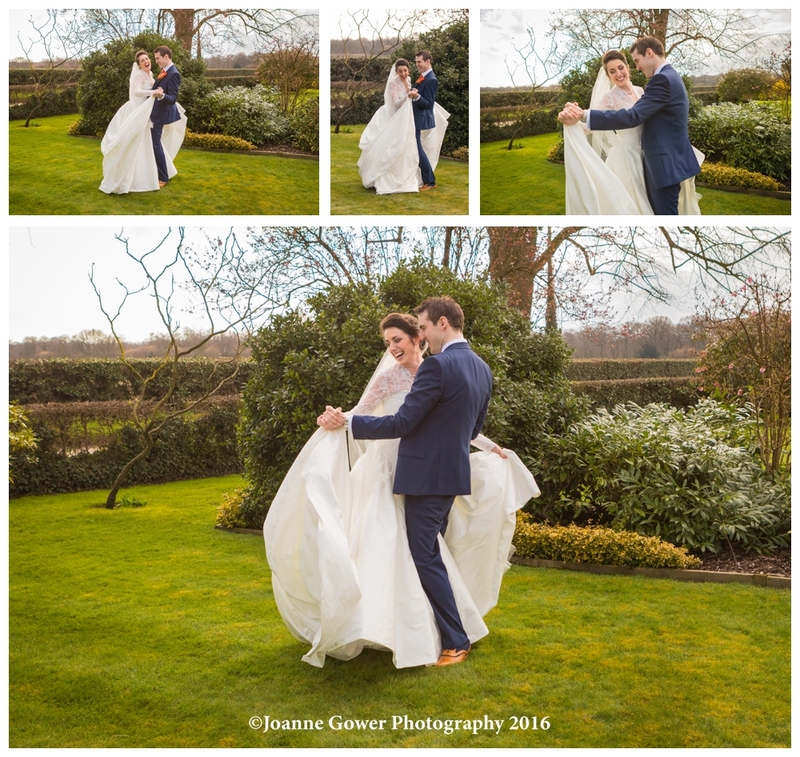 I am delighted to share the the photography from our pre wedding photoshoot with Kerry and Dave who are getting married at Rudstone Walk, in May. 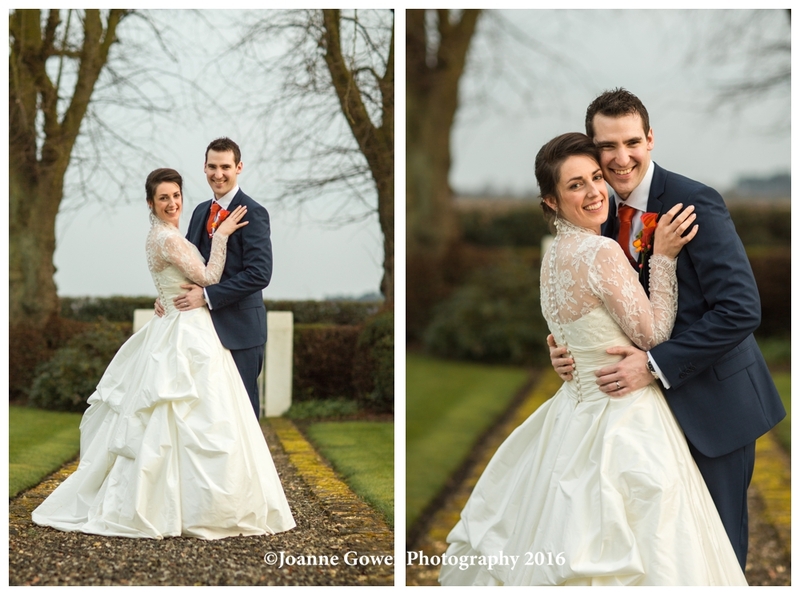 Before we headed out into the freezing wind (and well done Kerry for braving it!) 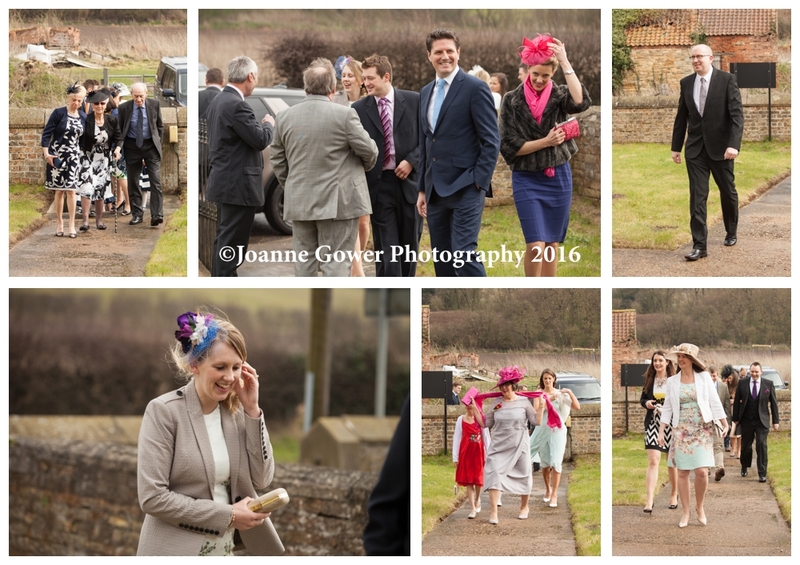 we had a lovely cup of tea and a chat inside. 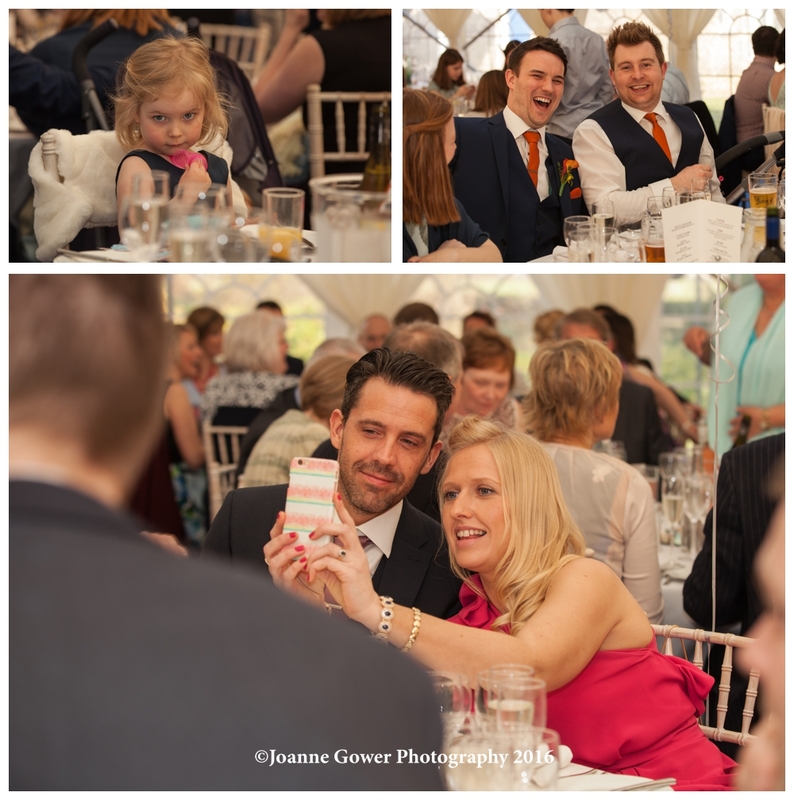 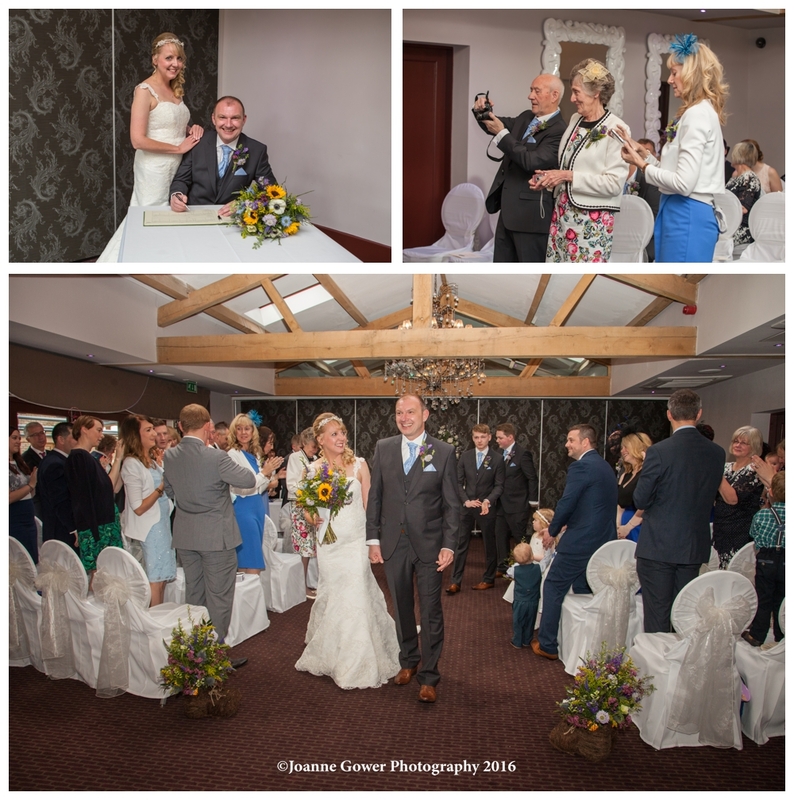 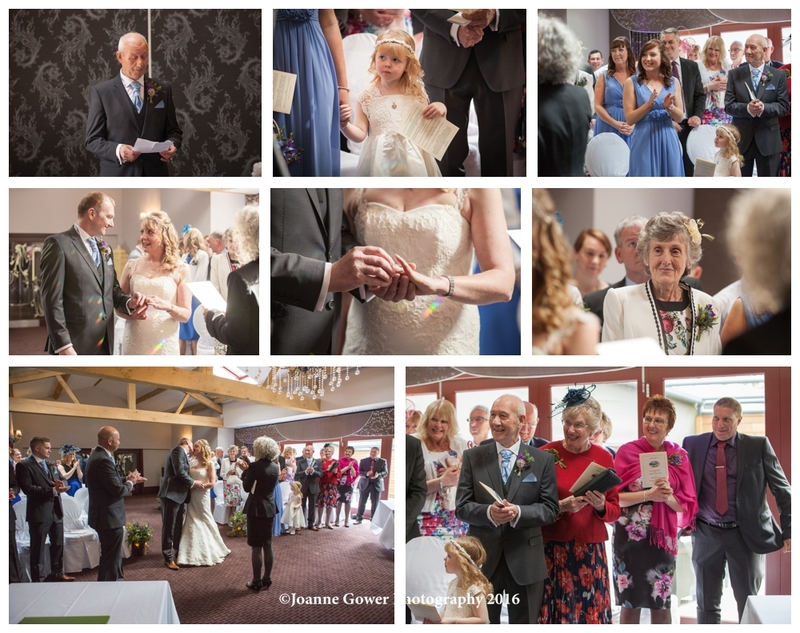 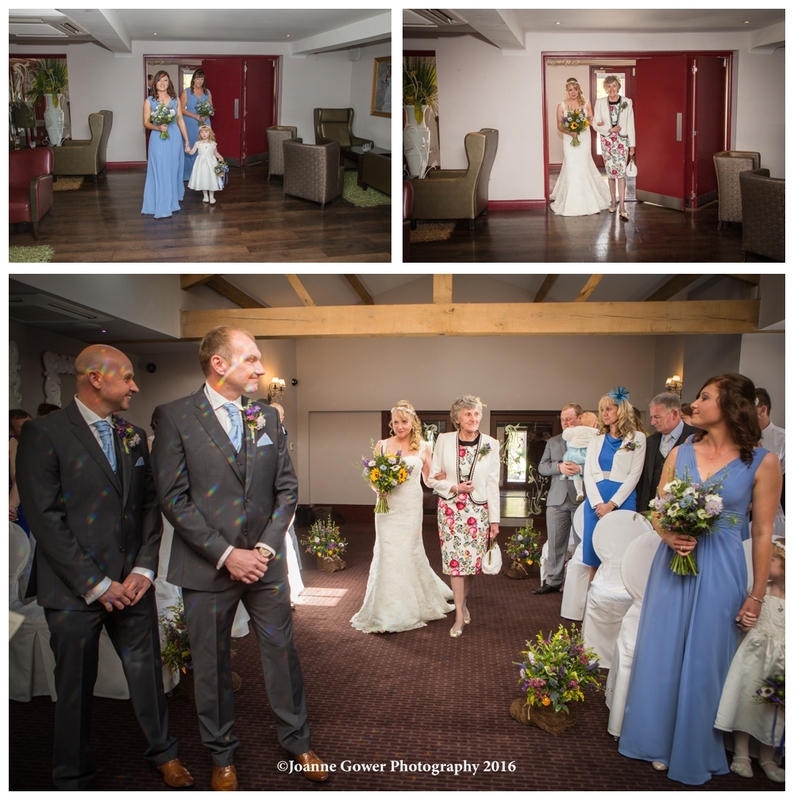 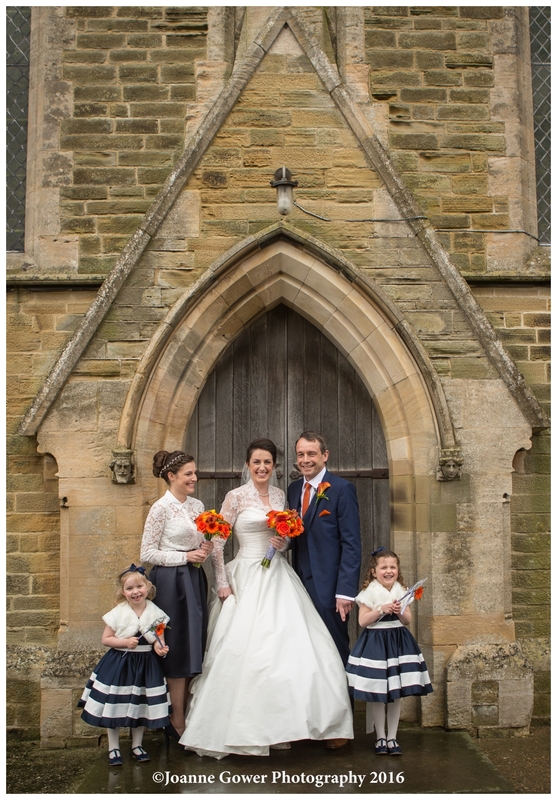 Rudstone Walk is a really great venue and they made us all very welcome, whilst we talked through the arrangements and had a peep at the ceremony room, with its lovely large windows, which will provide lots of natural light for our photography. 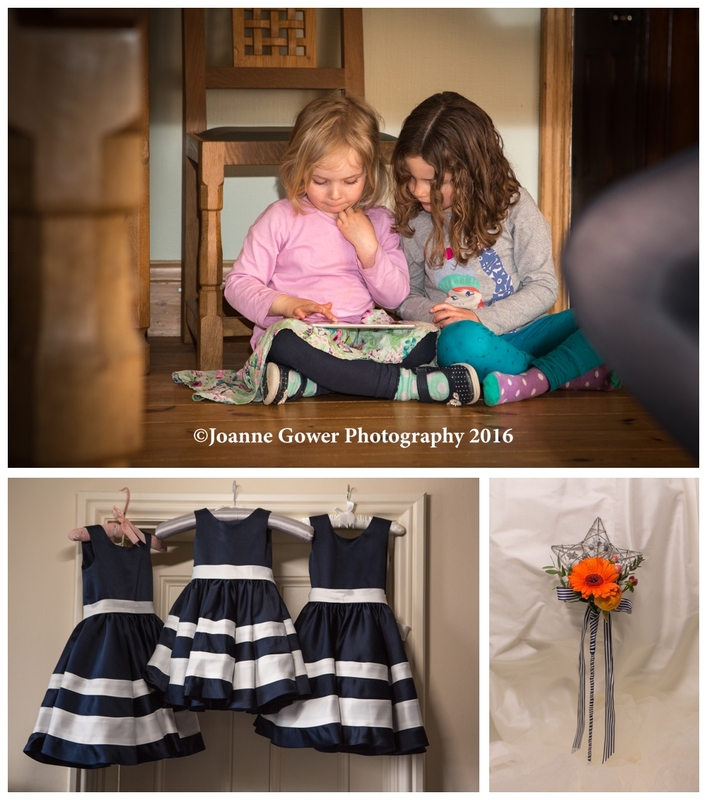 Kerry and Dave have opted for an intimate group of close family and friends and I am sure that it will be an absolutely delightful wedding to photograph. 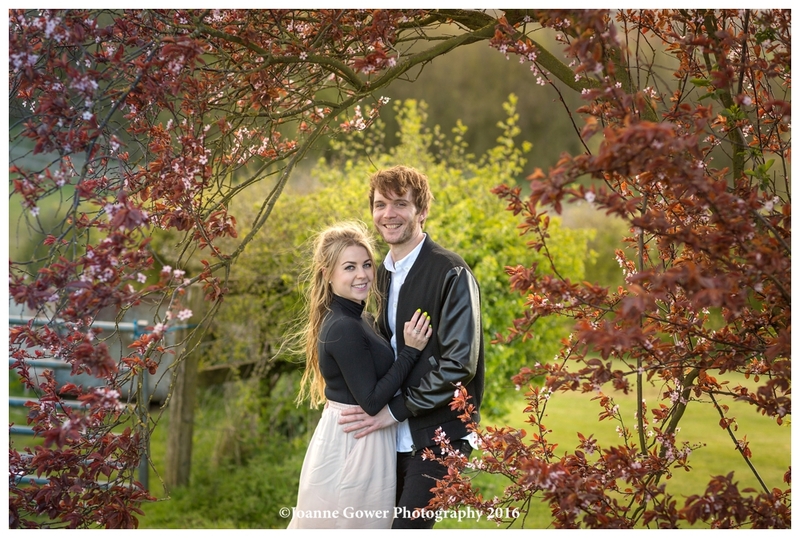 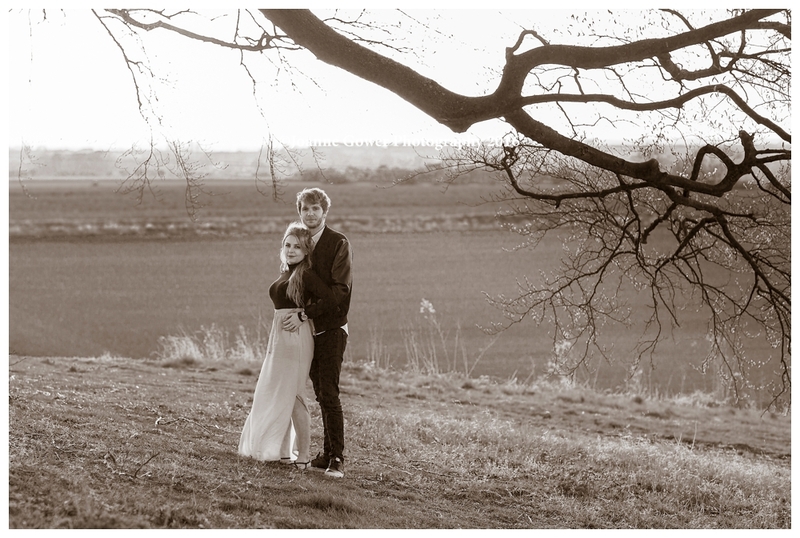 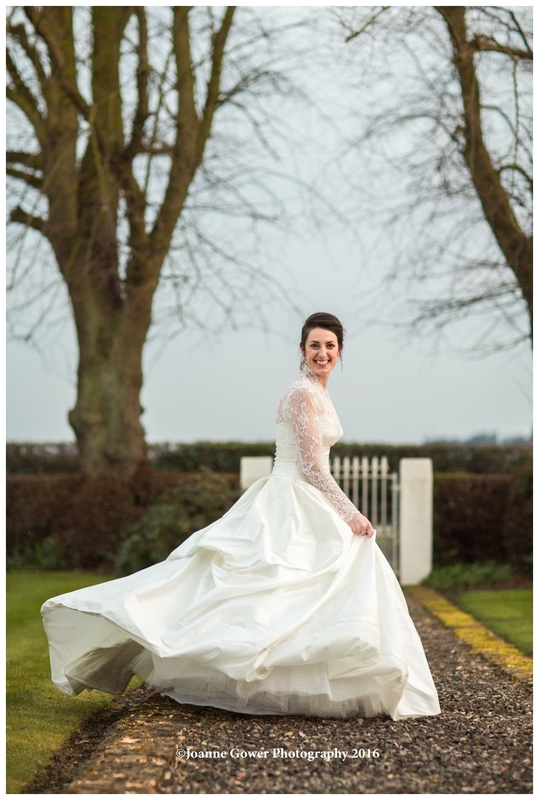 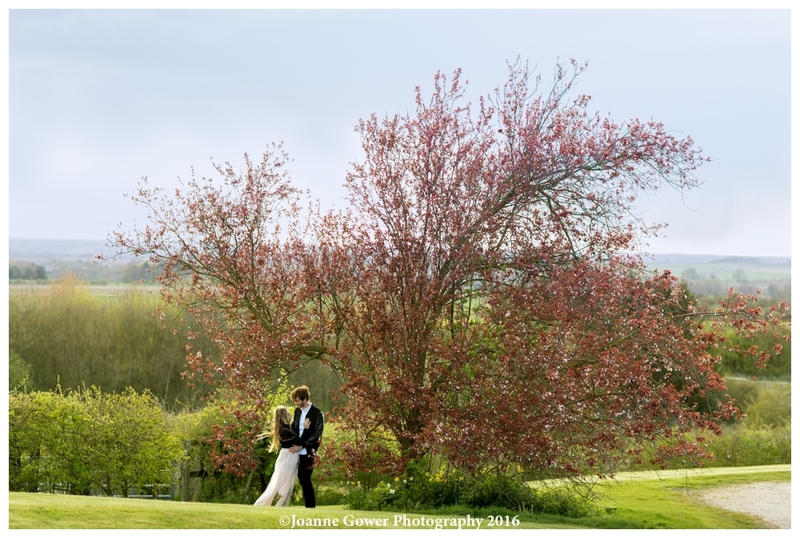 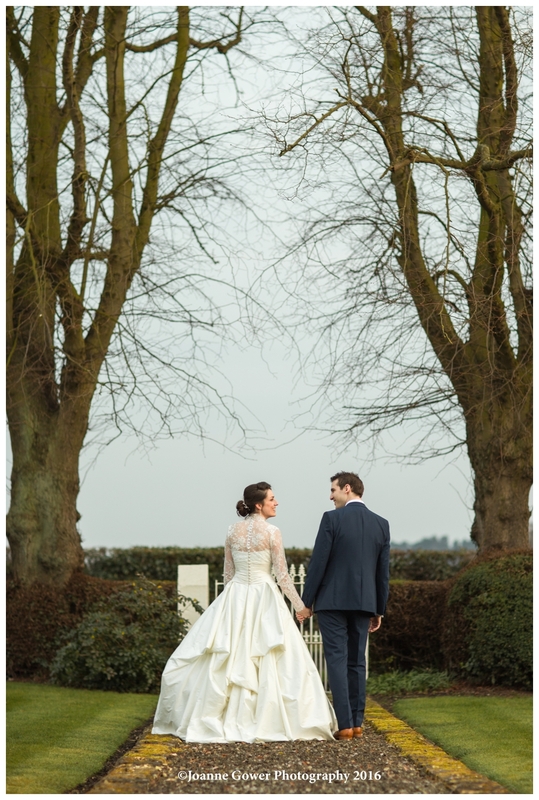 The location of Rudstone Walk is just gorgeous and provides some really great opportunities for wedding photography. 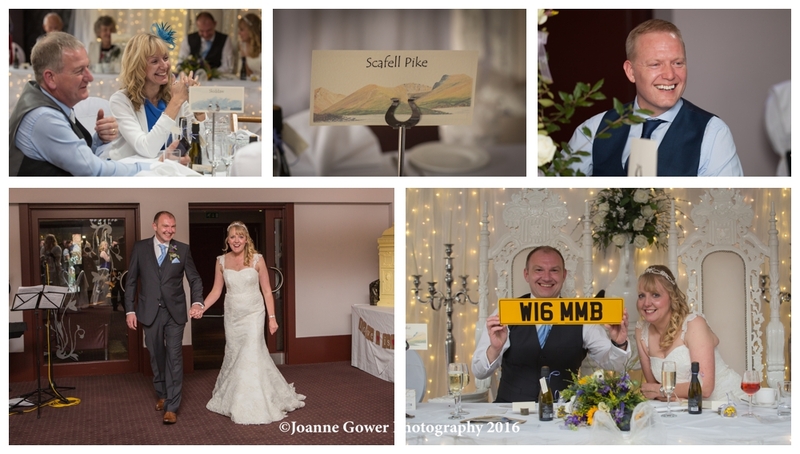 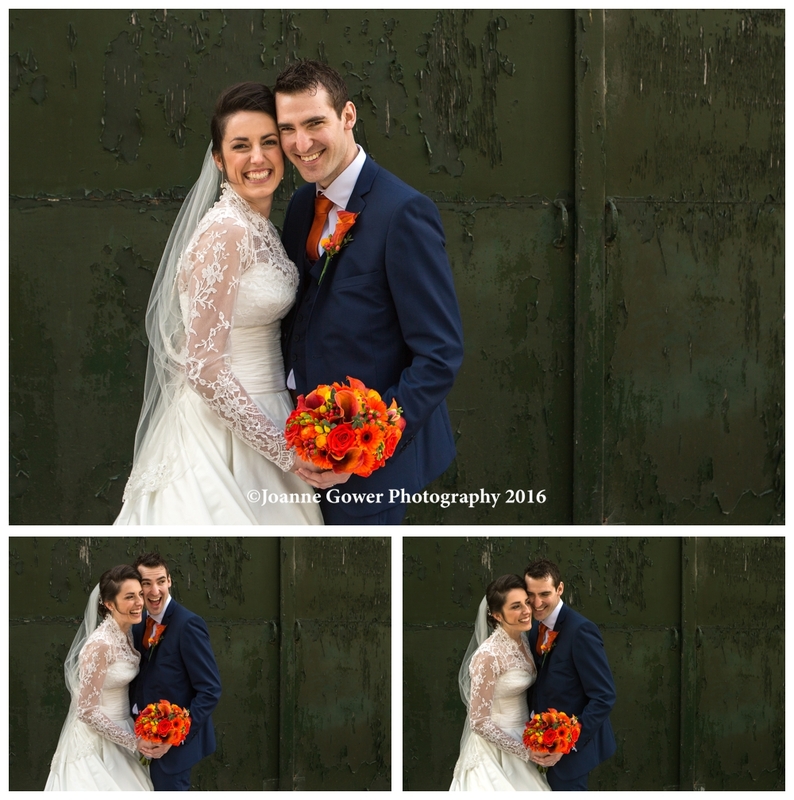 Kerry and Dave are a lovely couple and were very easy and relaxed in front of the camera and we are very much looking forward to photographing their wedding day. 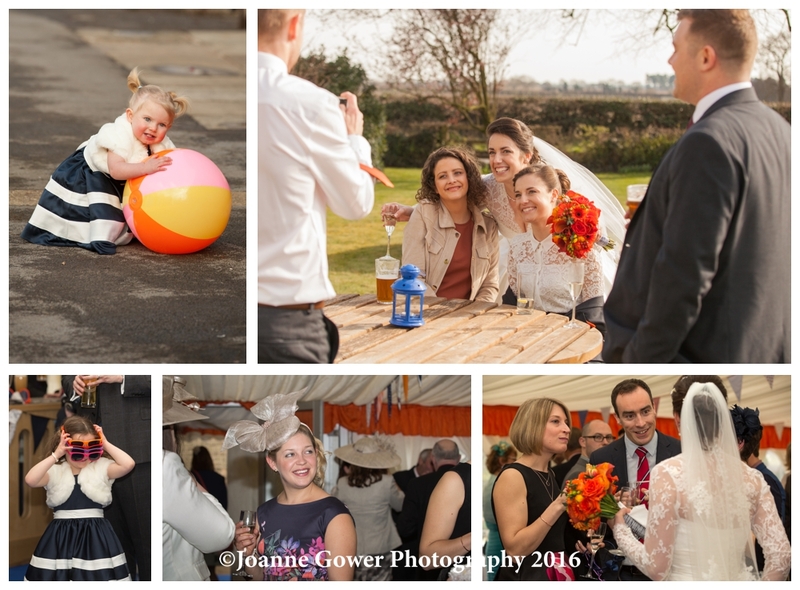 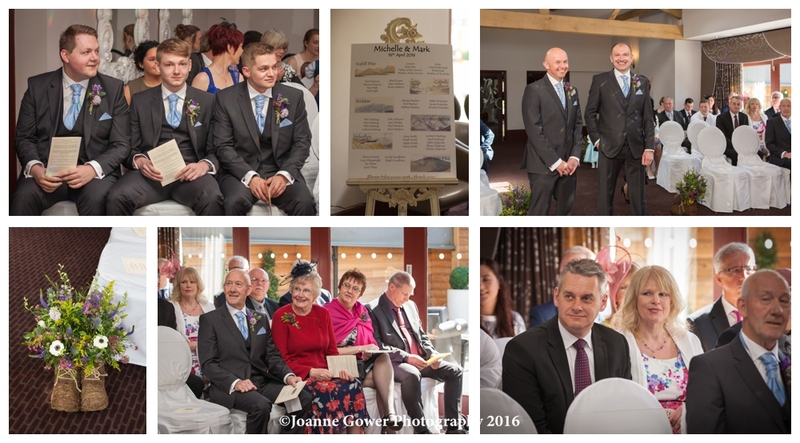 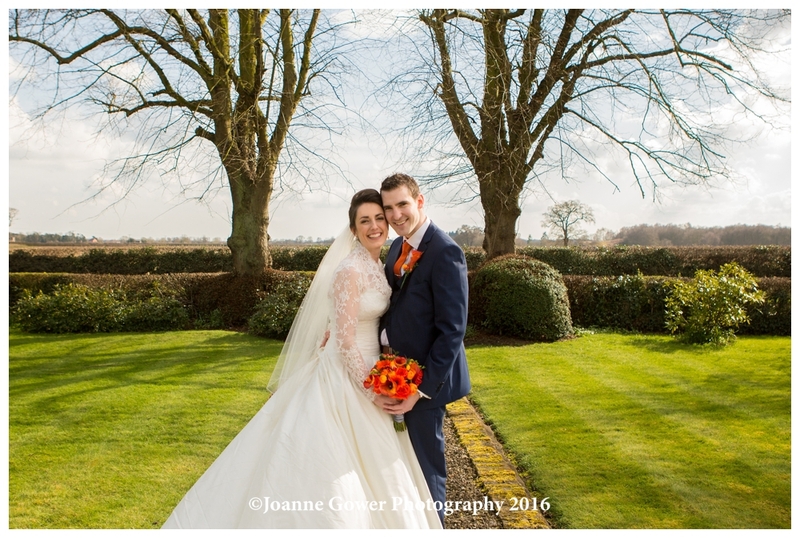 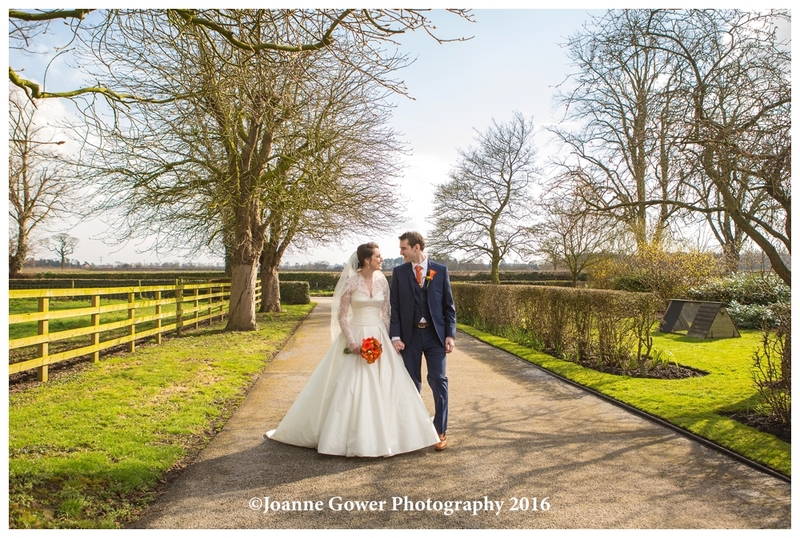 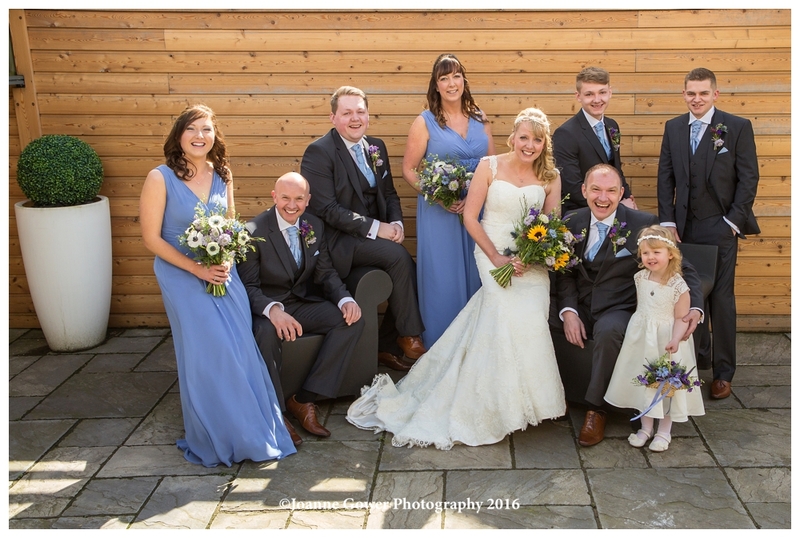 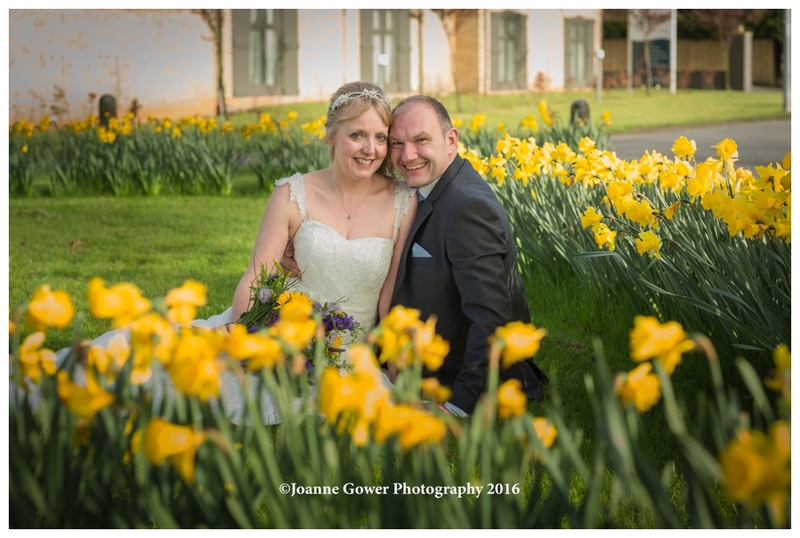 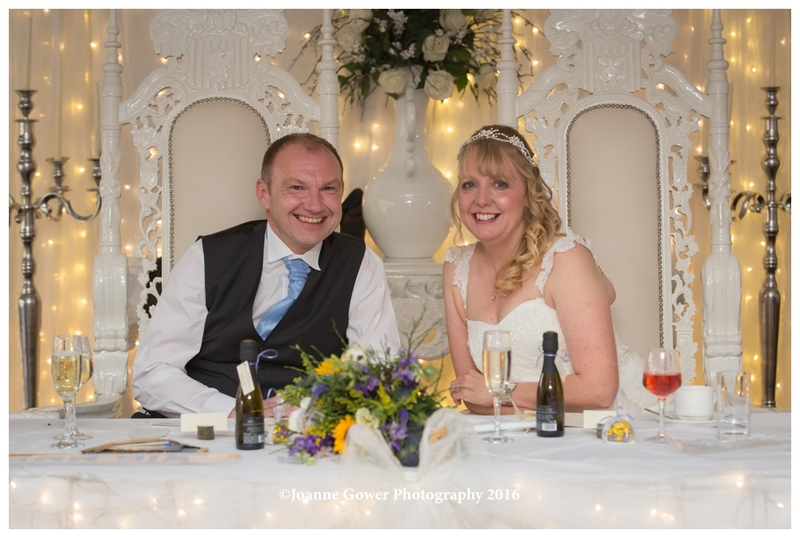 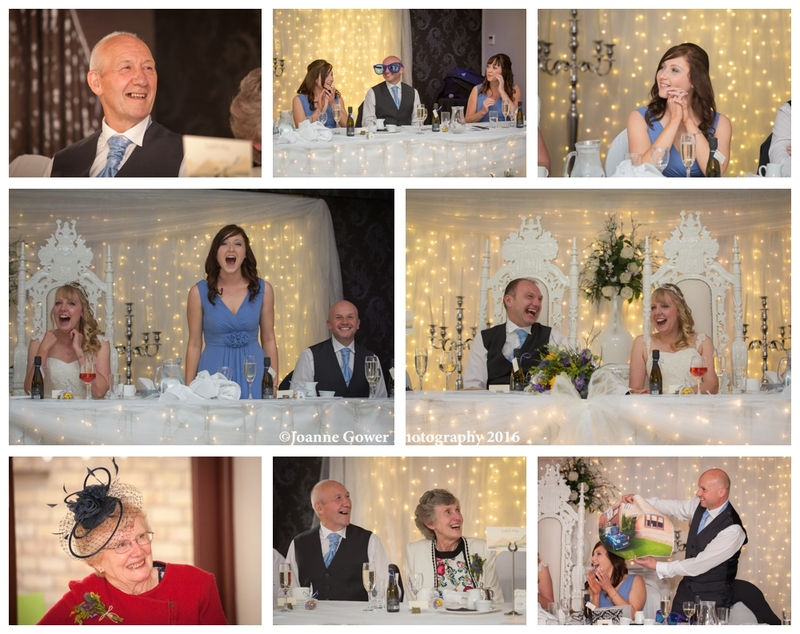 I am delighted to share with you the preview wedding photography for Shell and Mark who were married yesterday, at the Ashbourne Hotel, North Killingholme, Lincolnshire. 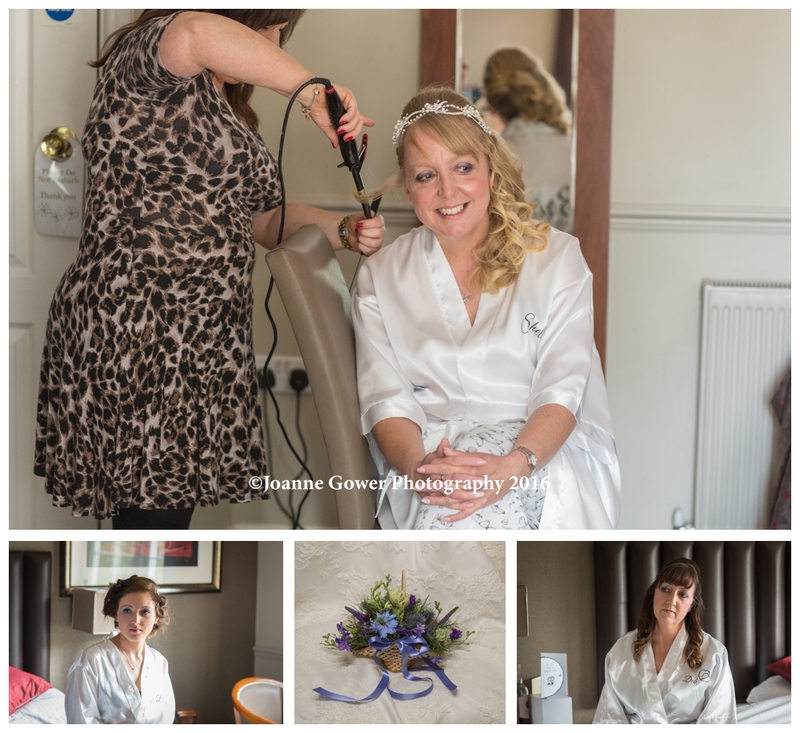 We started the day bright and early with our usual bridal preparation photography. 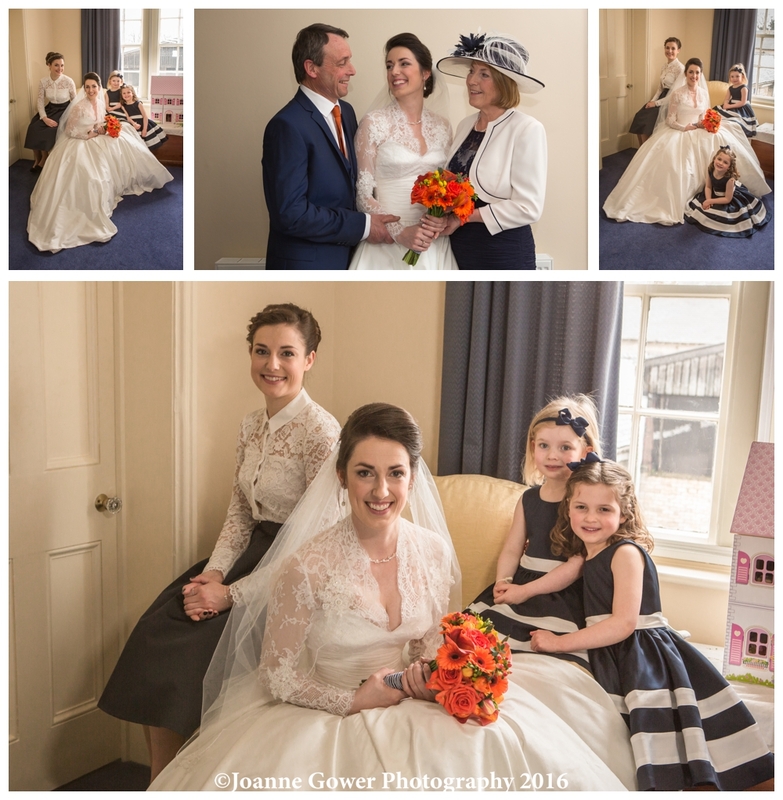 Kim Marrison did Shell’s hair and make up was done by Justine Buttner, and she looked amazing in her bespoke dress from Joanna Lee Couture in Brigg. 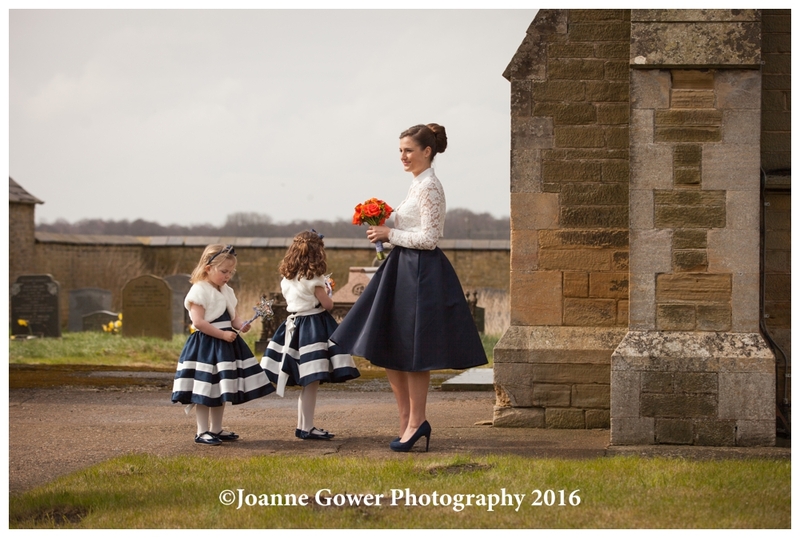 The bridesmaids looked lovely in their periwinkle dresses that were complimented by the beautiful flowers from Fairytales of Grimsby. 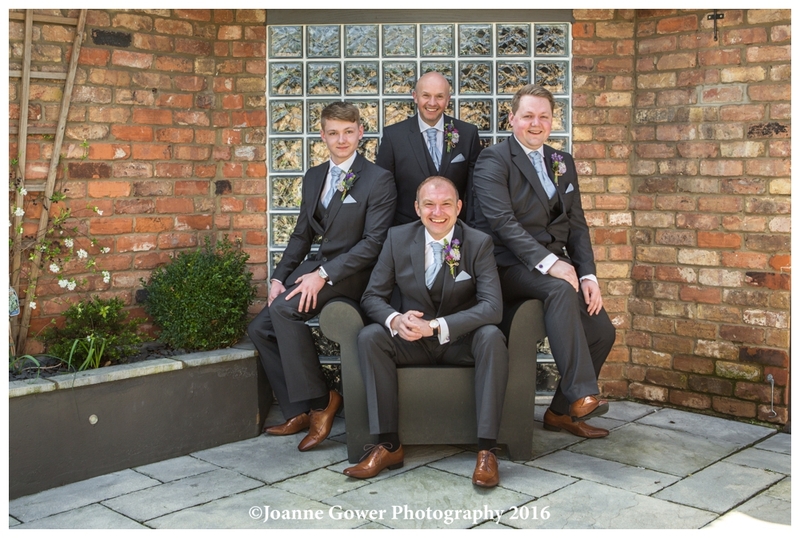 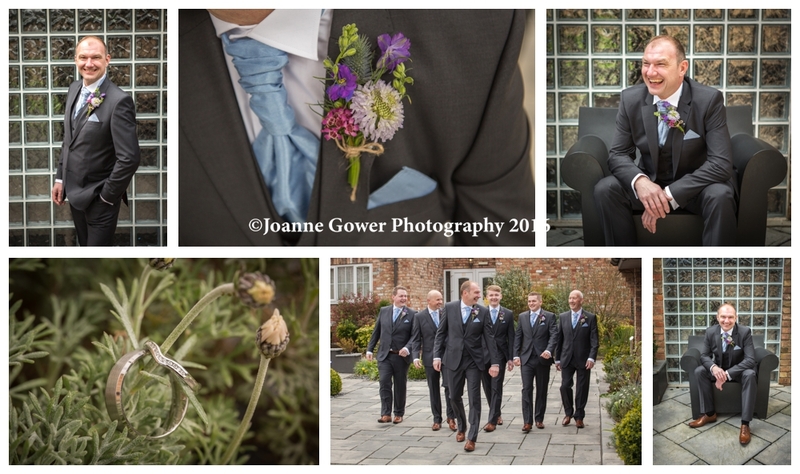 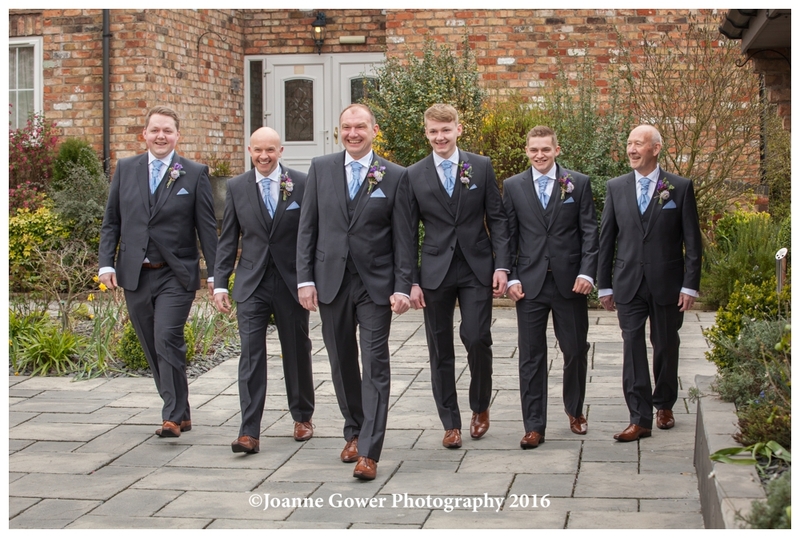 Mark and his groomsmen looked smart in their suits from Slaters and the venue was decorated by Fairytales and looked totally stunning. 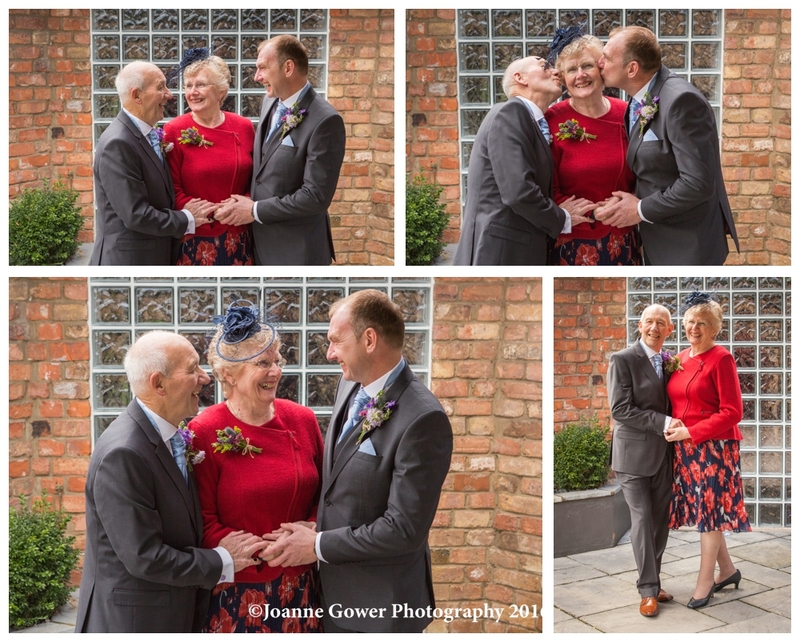 Mommas Little Bakehouse supplied the wedding cake and the the theme for the day was influenced by the couples love of walking. 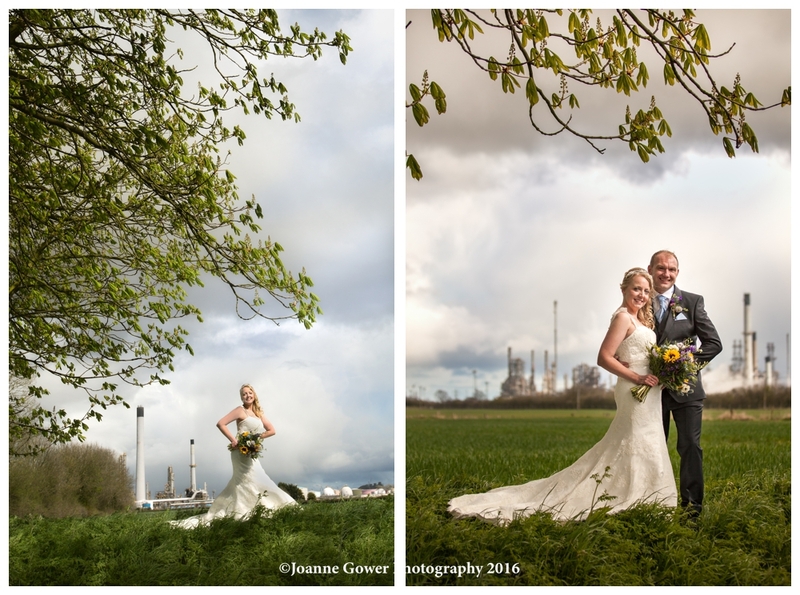 It was a really challenging day weather wise, and we experienced everything from rain and wind, to sunshine and hailstones. 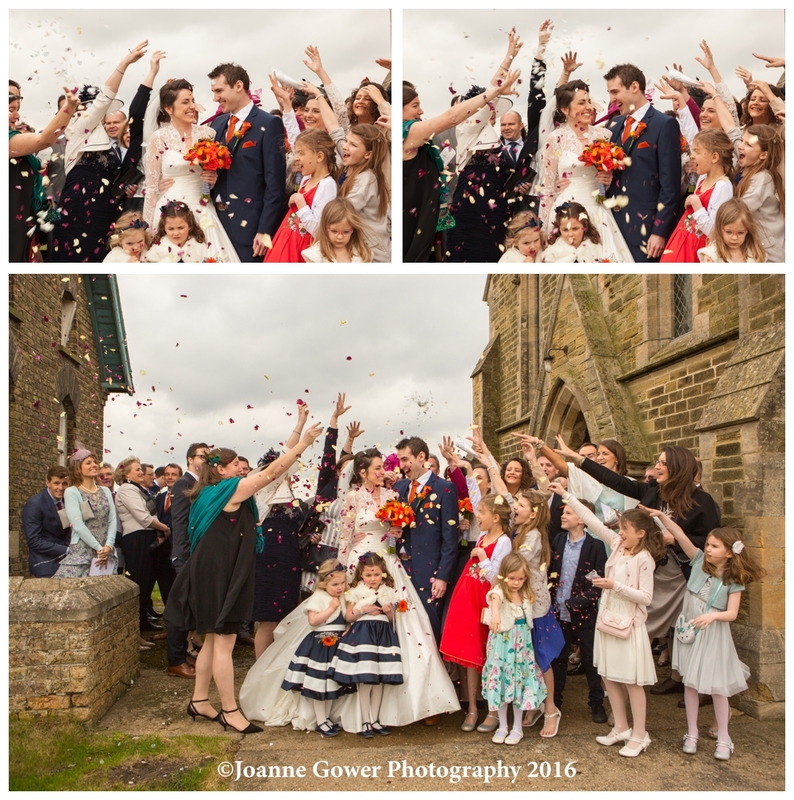 The group photographs were particularly difficult as we had to keep running inside to avoid the rain showers! 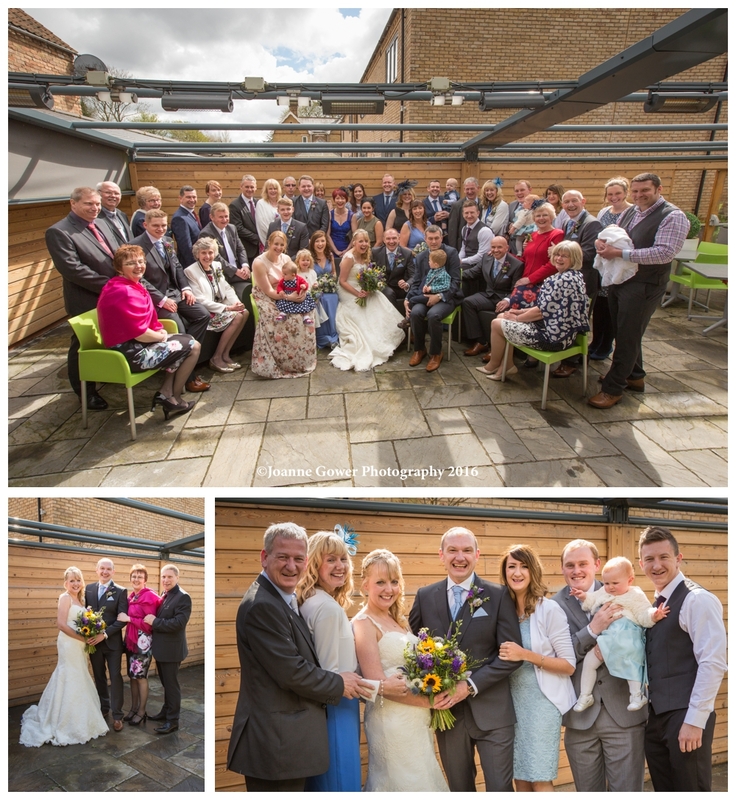 We had just got everyone in place for the big group shot, when the heavens opened once again and everyone dashed indoors! 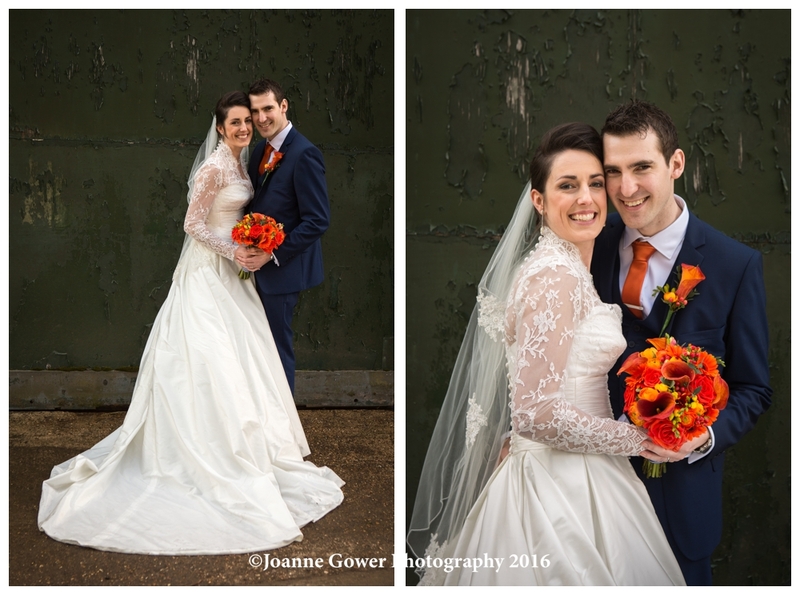 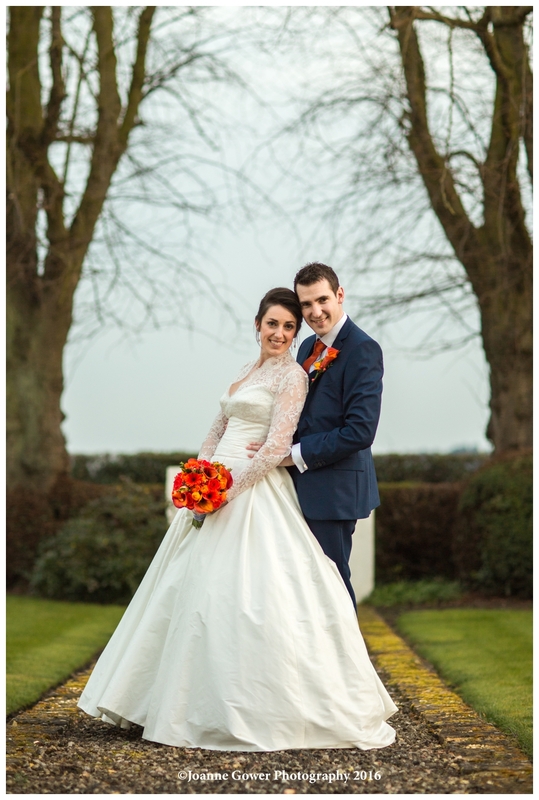 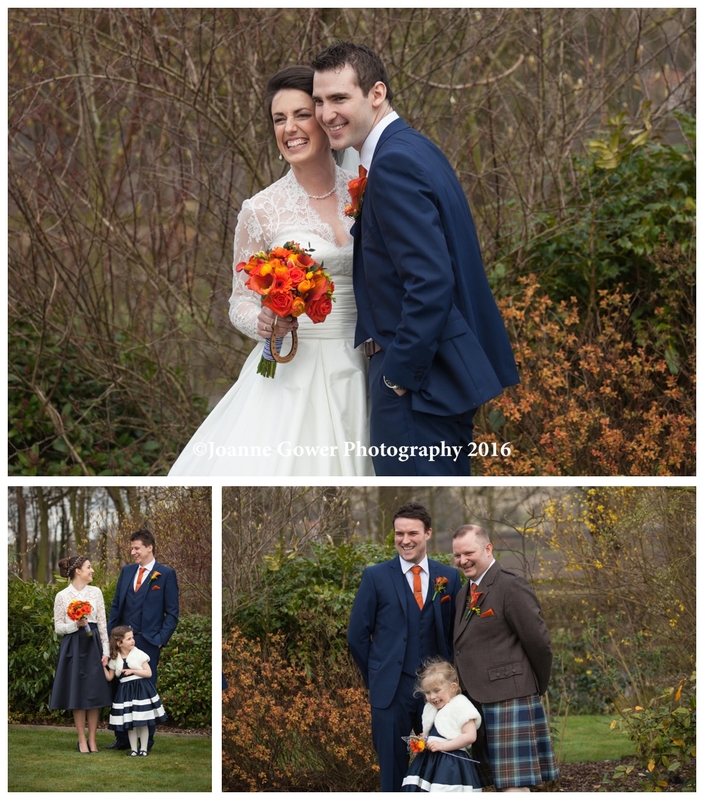 Shell and Mark are a great couple and were fantastic braving the elements to get their photographs. 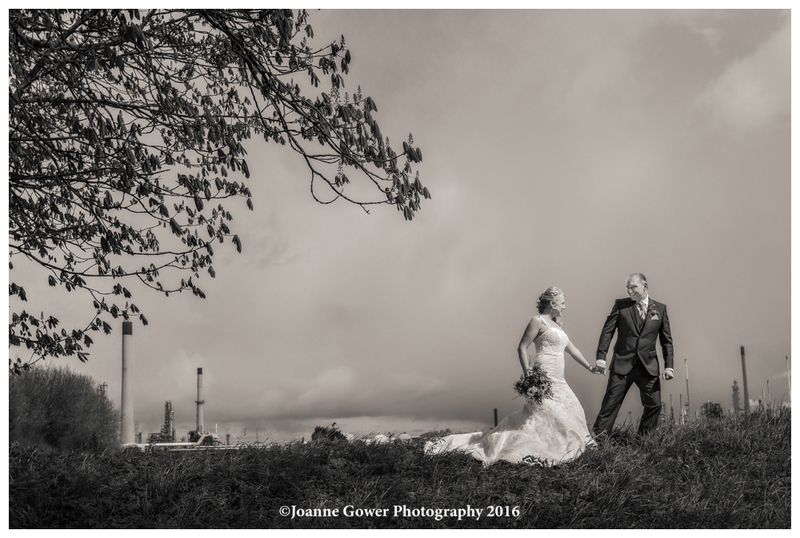 We had a wonderful day with them and their family and friends and I look forward to sharing the rest of their wedding photographs with them soon. 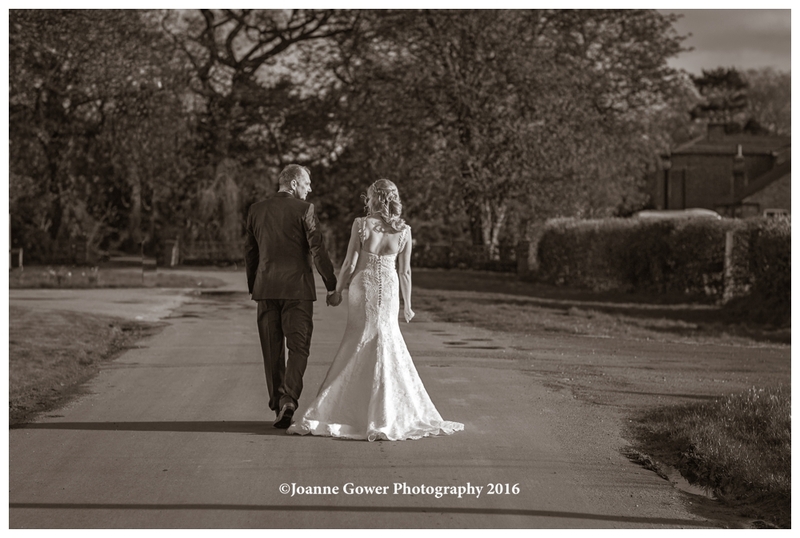 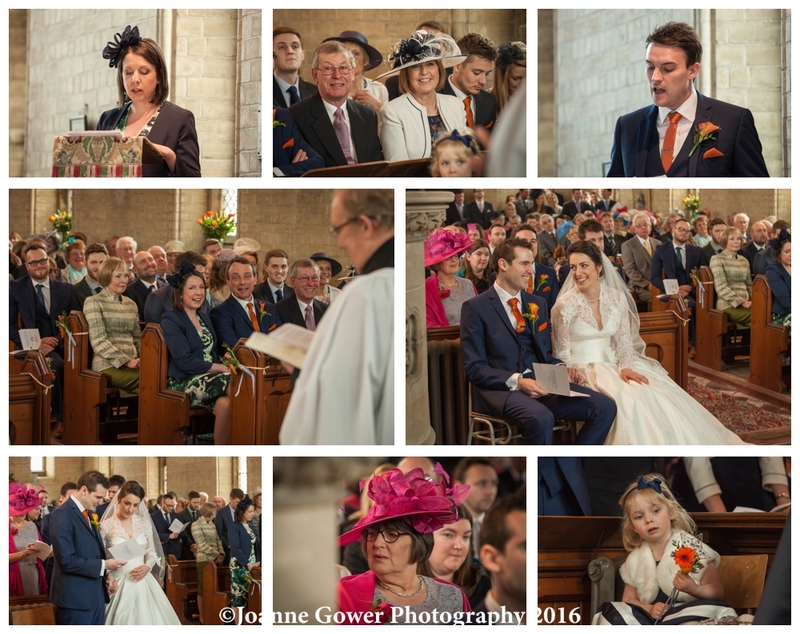 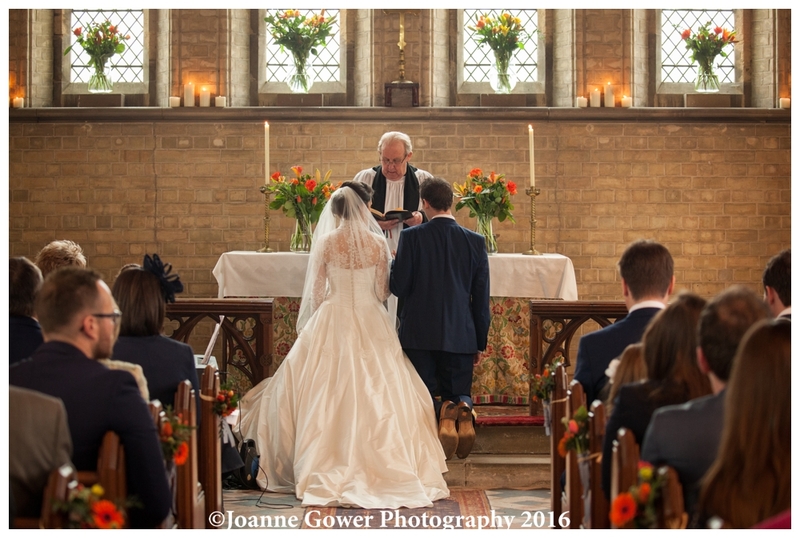 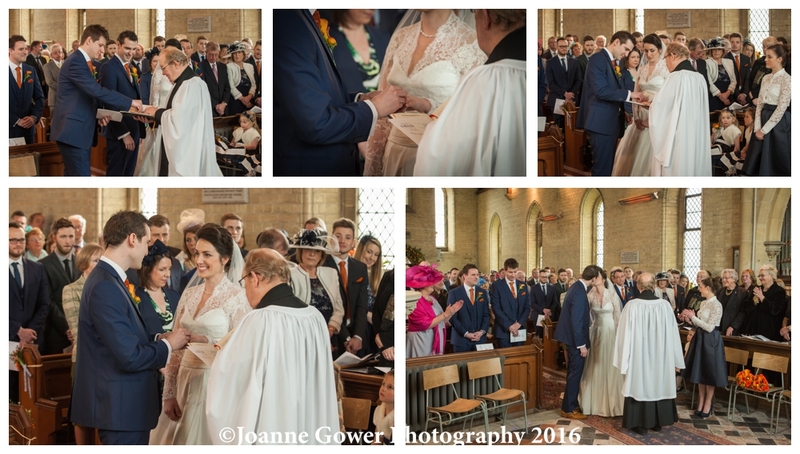 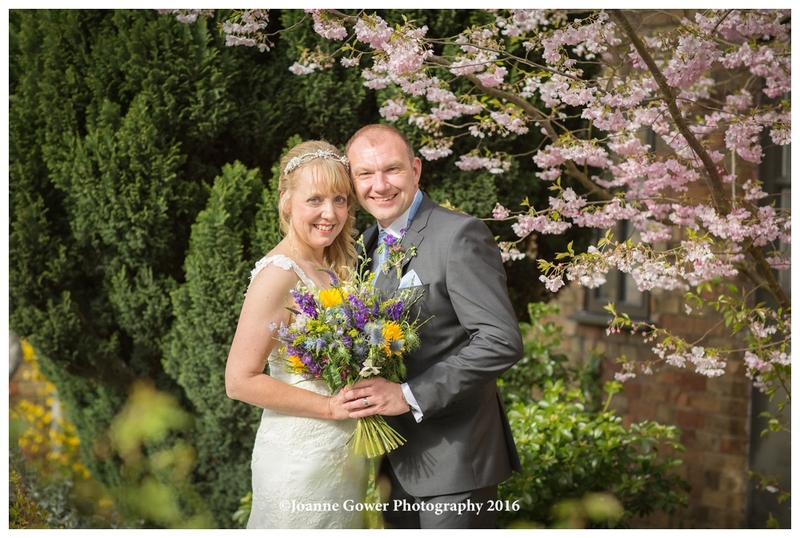 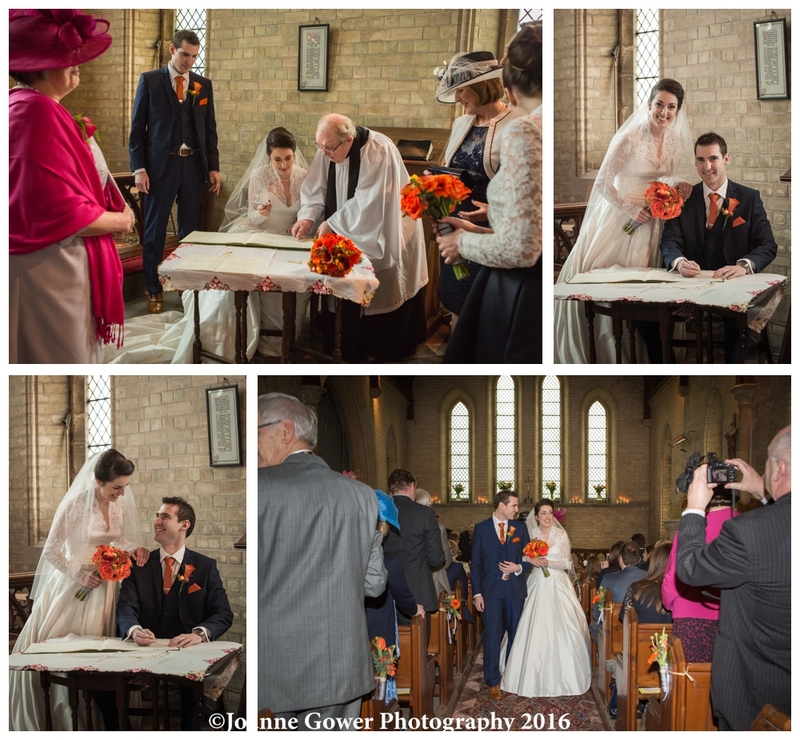 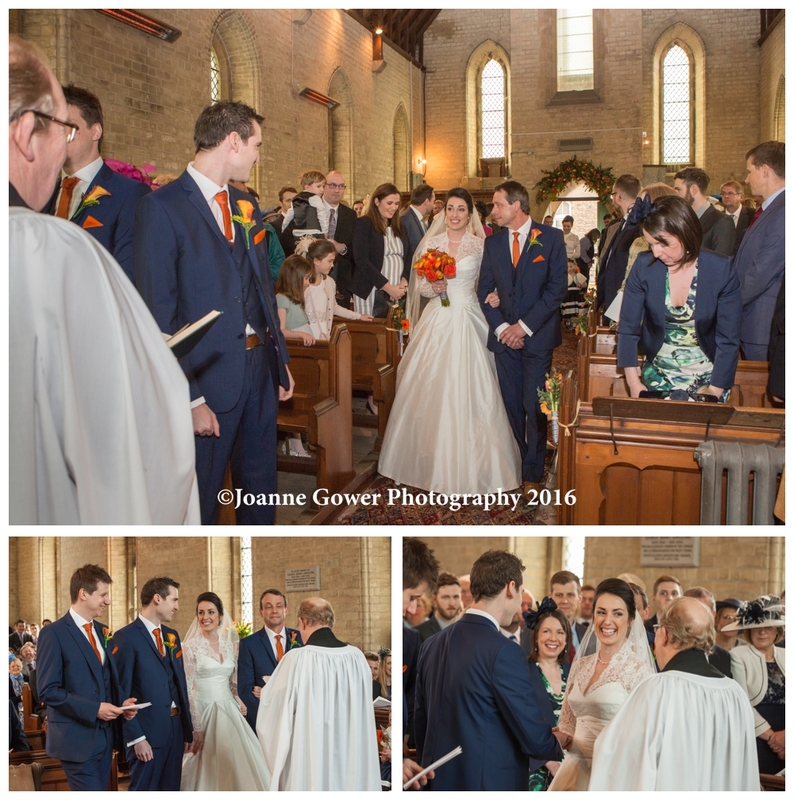 I am delighted to share with you the preview wedding photography for Helen and Robert who were married yesterday at North Cliffe Church. 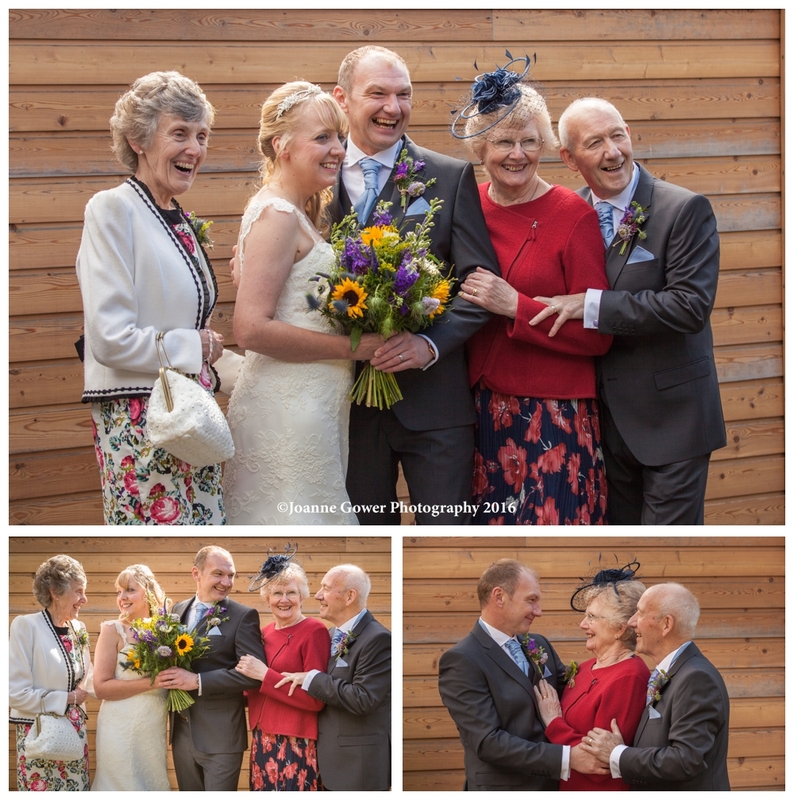 We started the day at Helen’s parents home and were made very welcome by John and Tina. 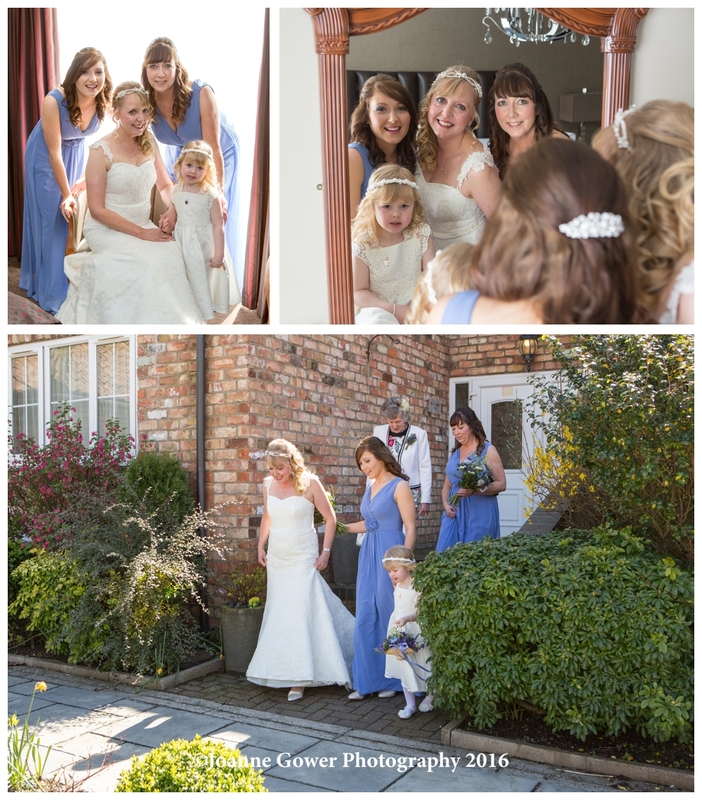 Helen’s hair and make up looked lovely and had been done by Topaz in Market Weighton. 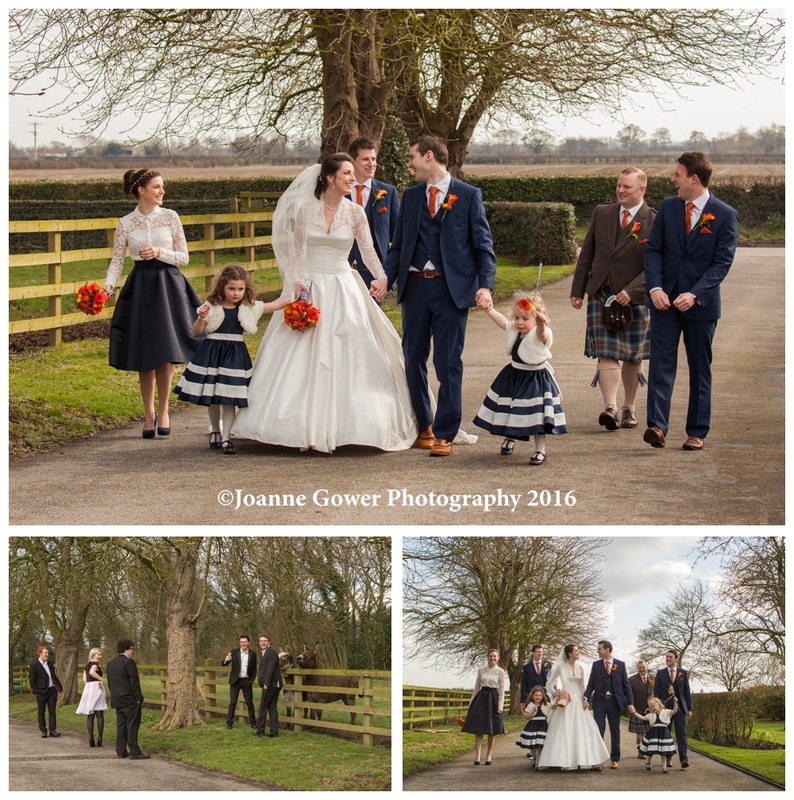 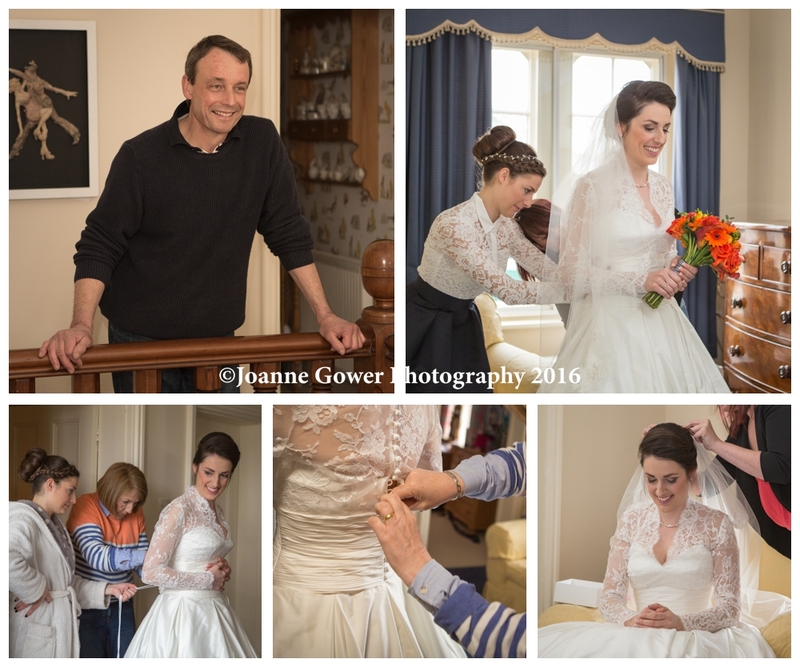 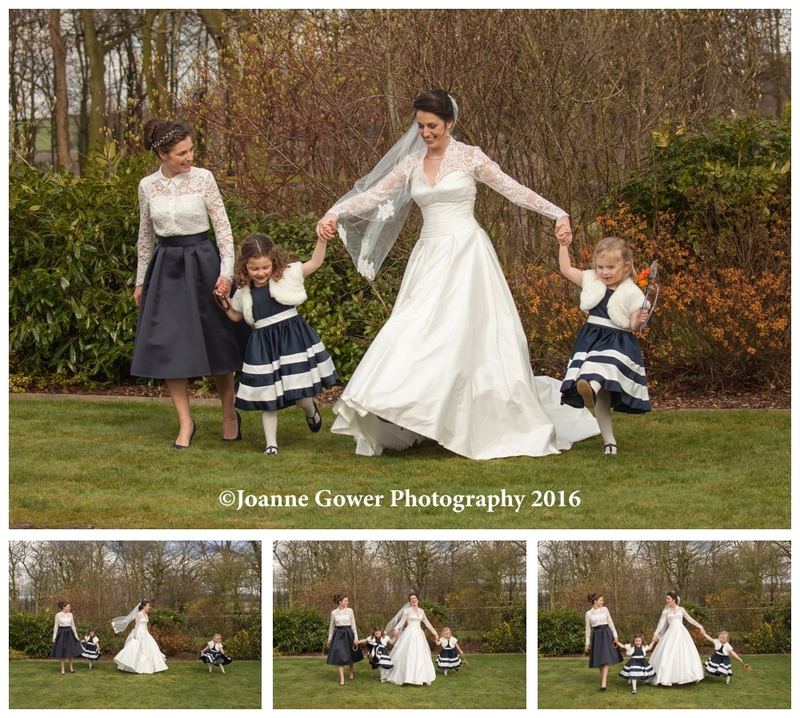 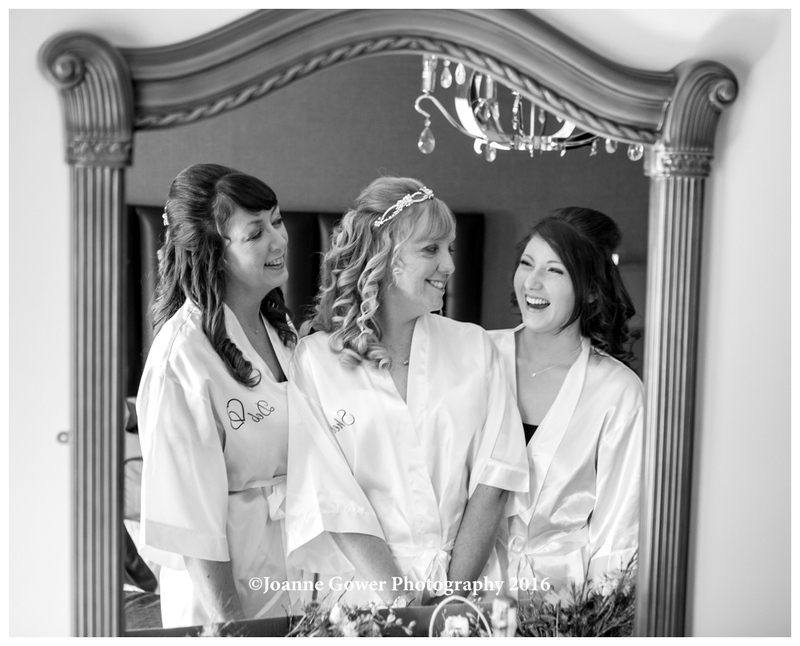 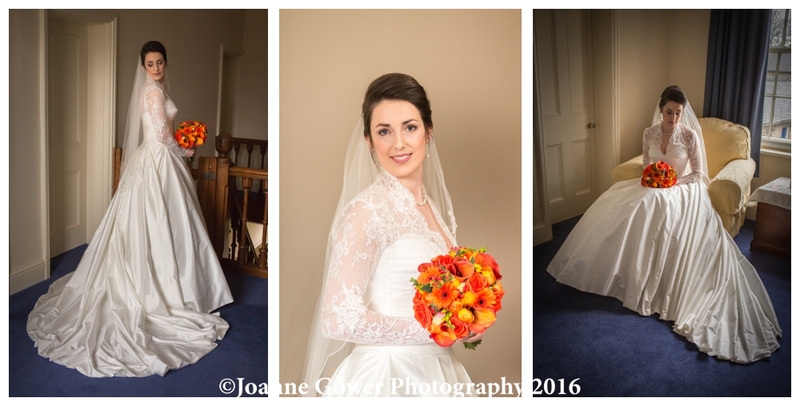 Shortly after our arrival, the bride was helped into her gorgeous dress from Brides of York, as always the buttons and the loops proved a little challenging, but mum Tina proved to be the expert, and Helen was soon ready for us to do our pre wedding bridal portraits. 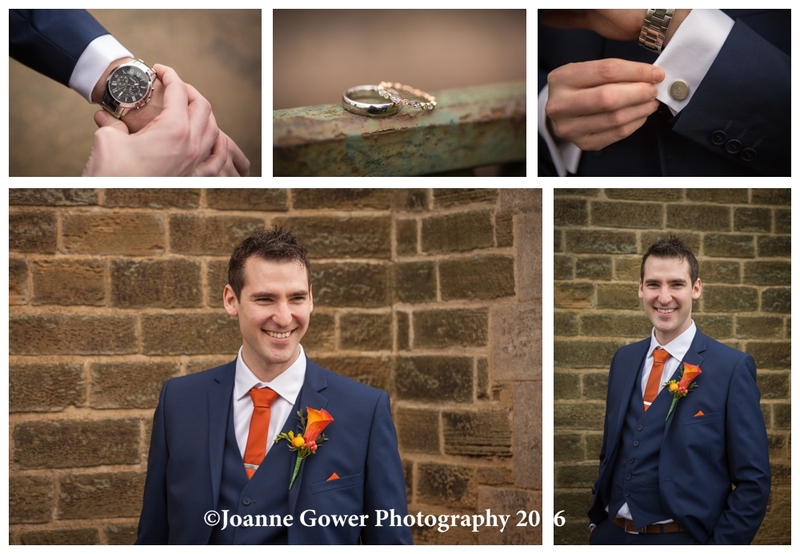 Robert was waiting for us at the church with best man Oli, and ushers Rich and Roddy, and we quickly completed some shots of the boys. 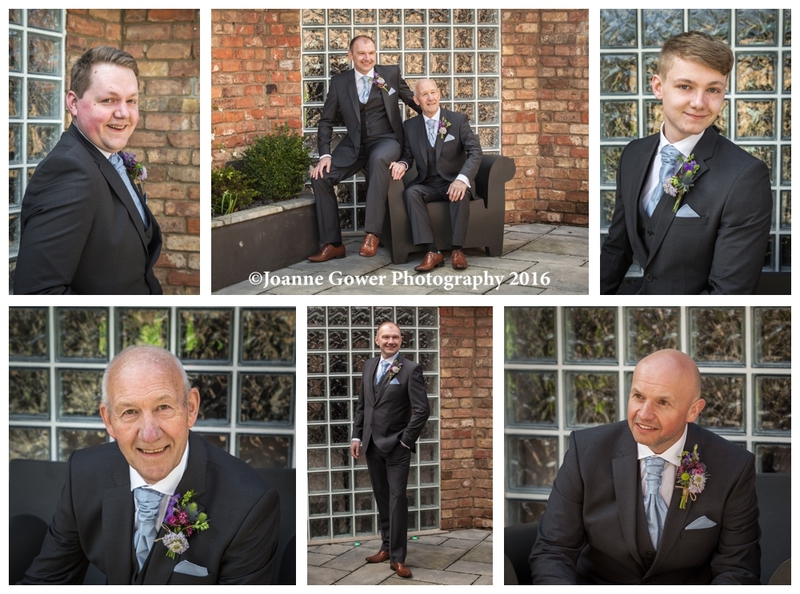 Guests soon began to arrive and finally we awaiting the bride with her father. 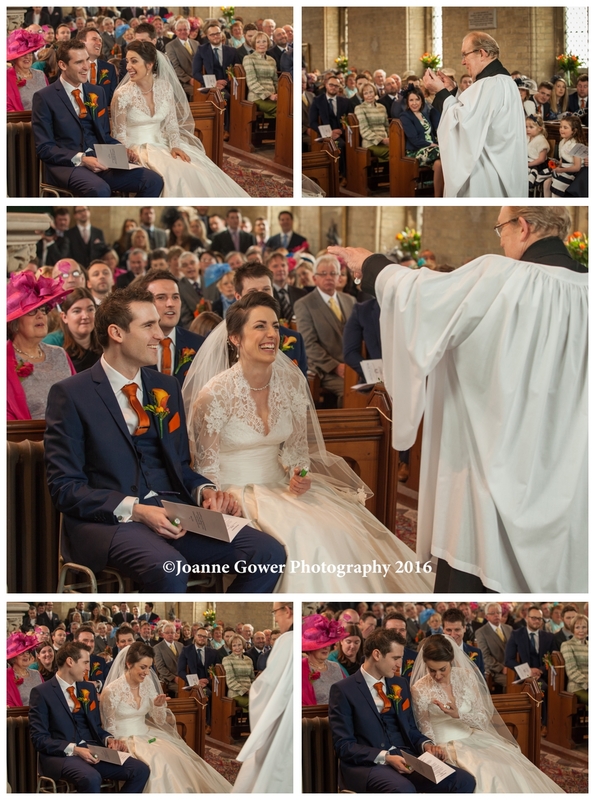 The vicar delivered a really lovely service, some friendly advice for the couple, and his own little piece of magic with some polo mints! 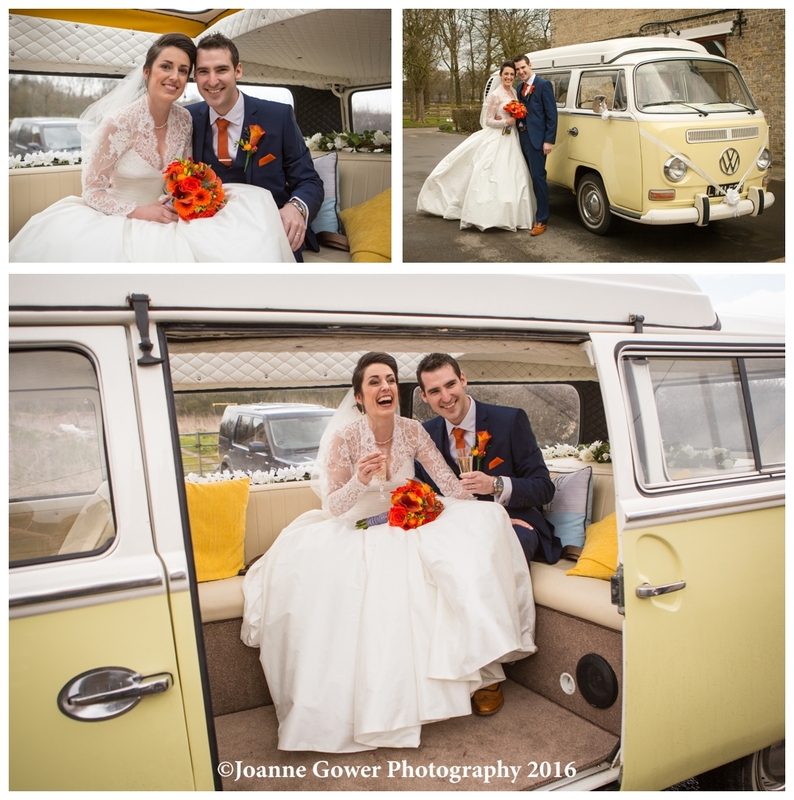 Following the service the happy couple headed off for a drive in their VW camper van from the Yorkshire Wedding Car Company. 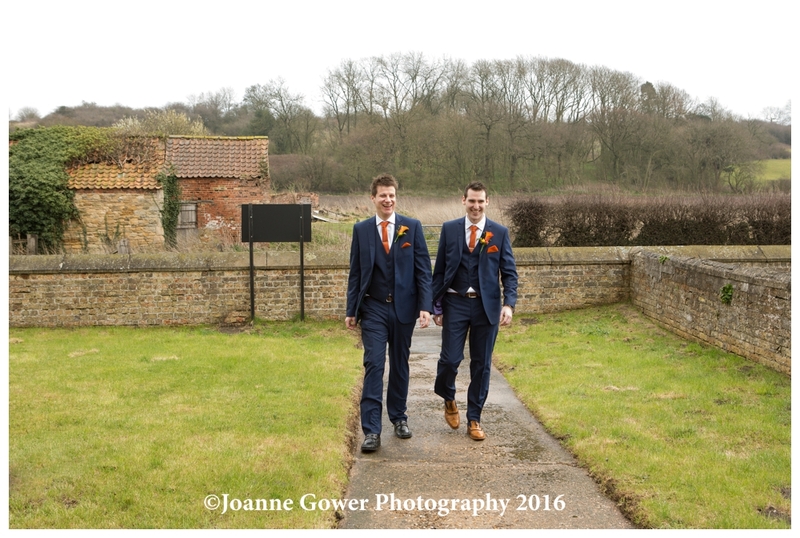 Our brief for photography for this wedding was to keep things as free flowing and natural as possible and where possible to keep the shots candid rather than formal and posed. 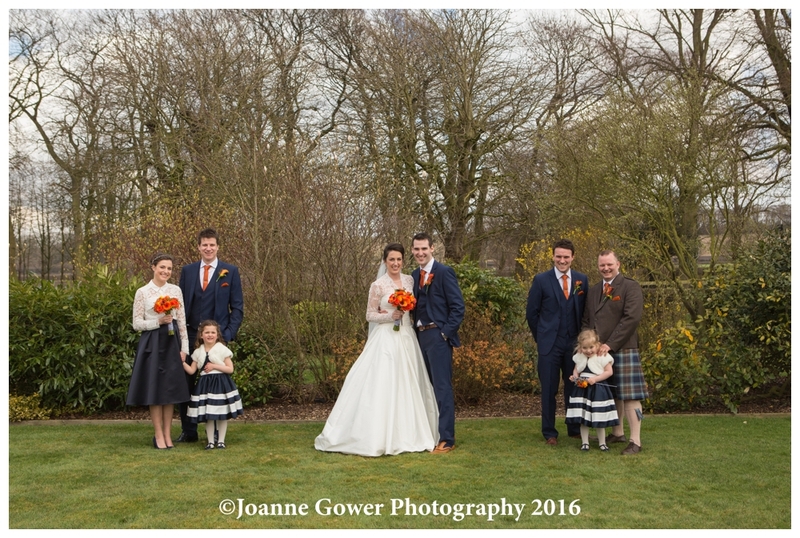 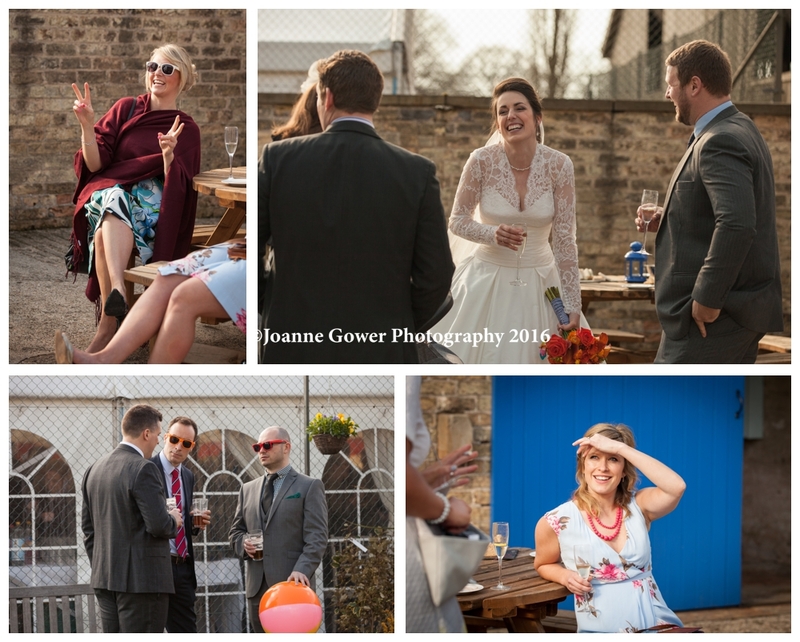 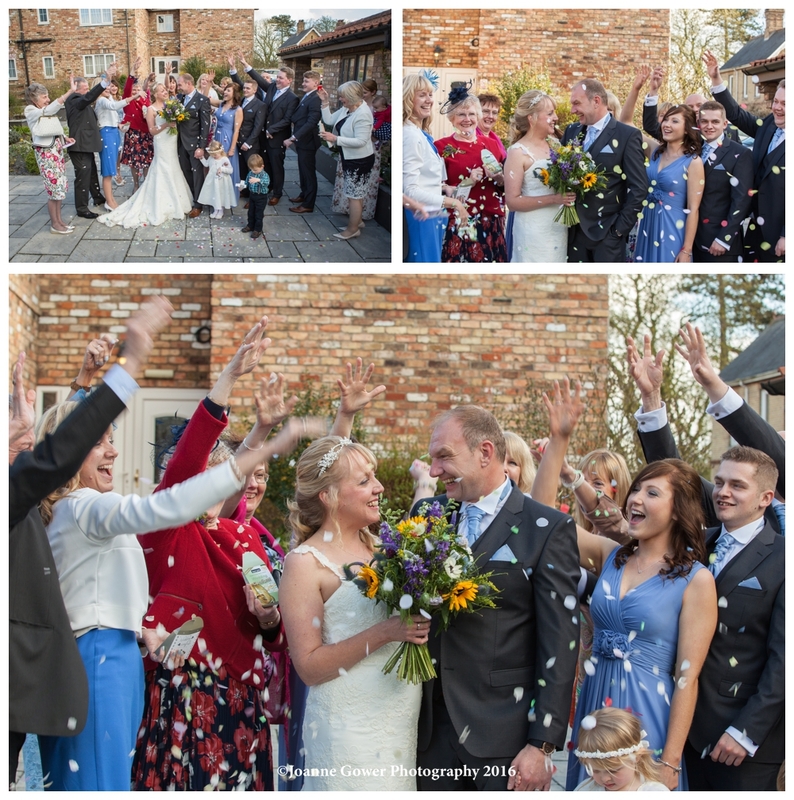 Helen and Robert chose not to have the formal groupings which free up them and their guests to just enjoy the day. 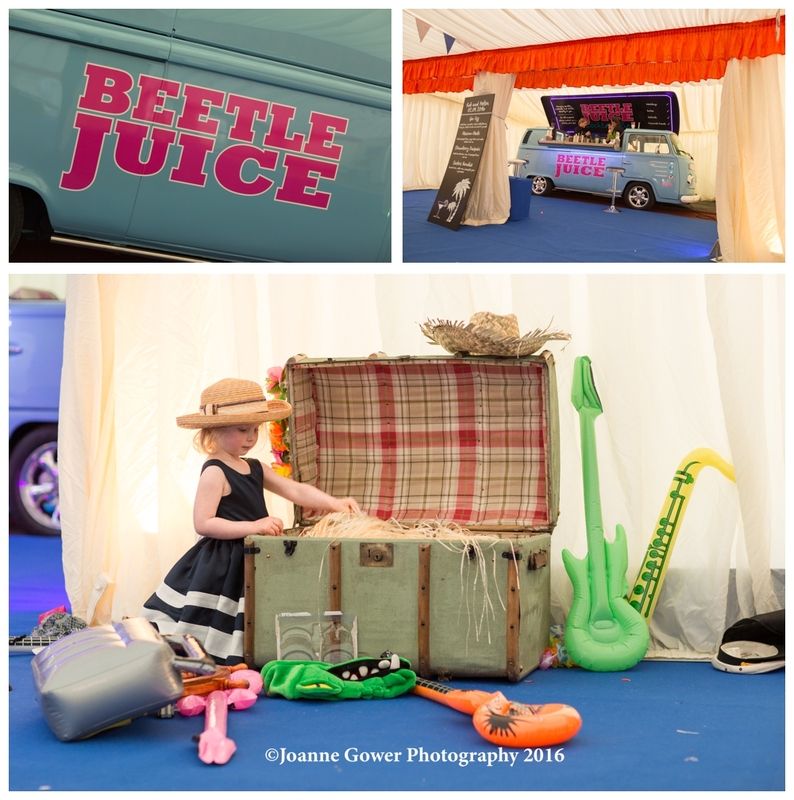 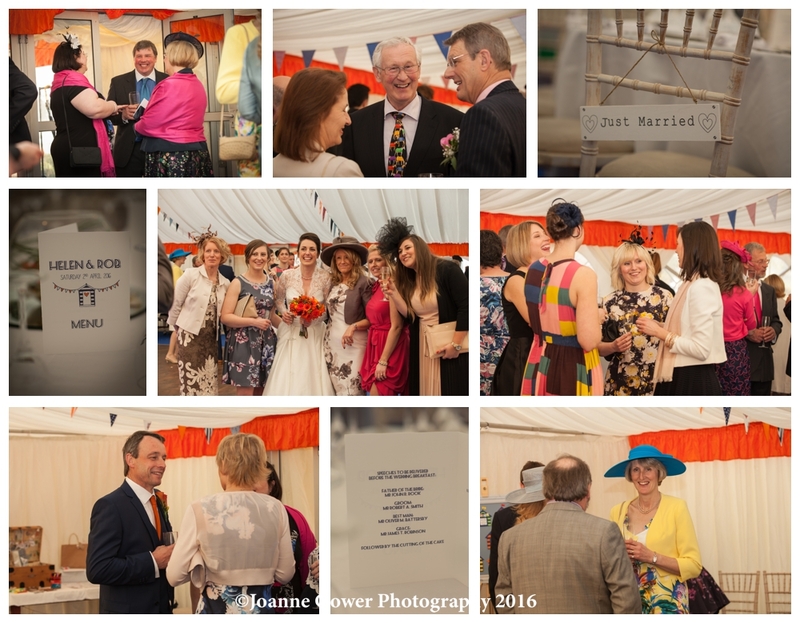 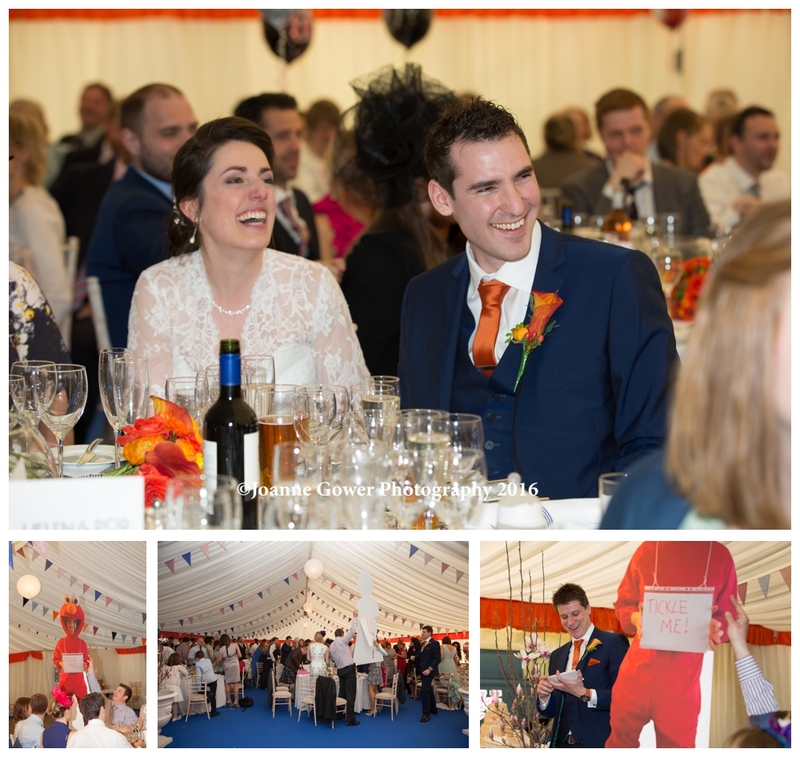 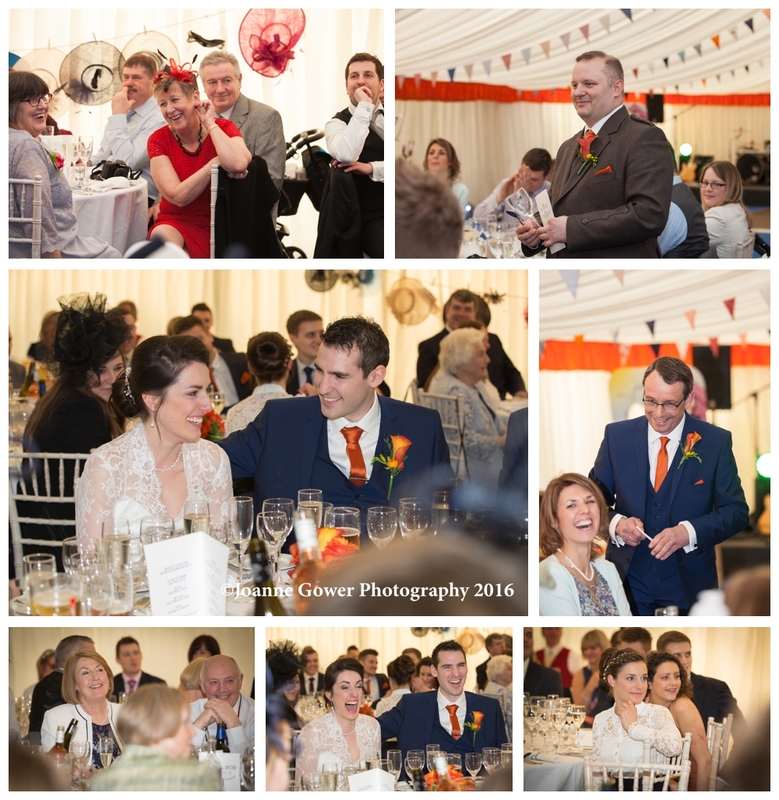 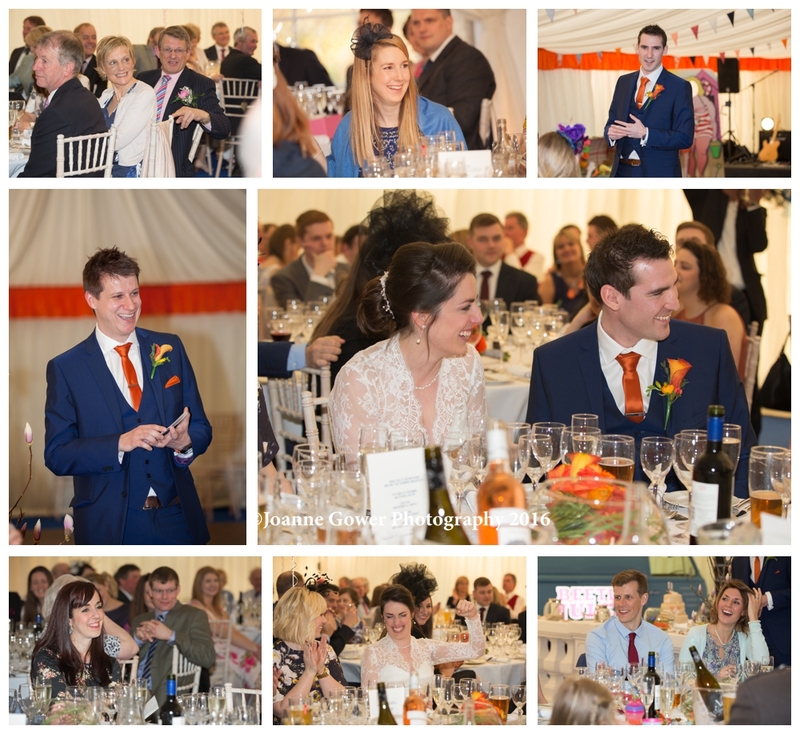 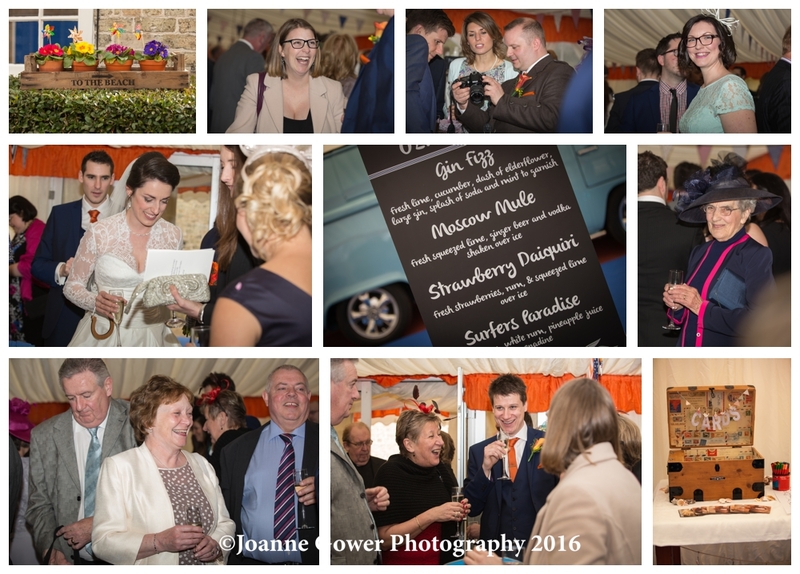 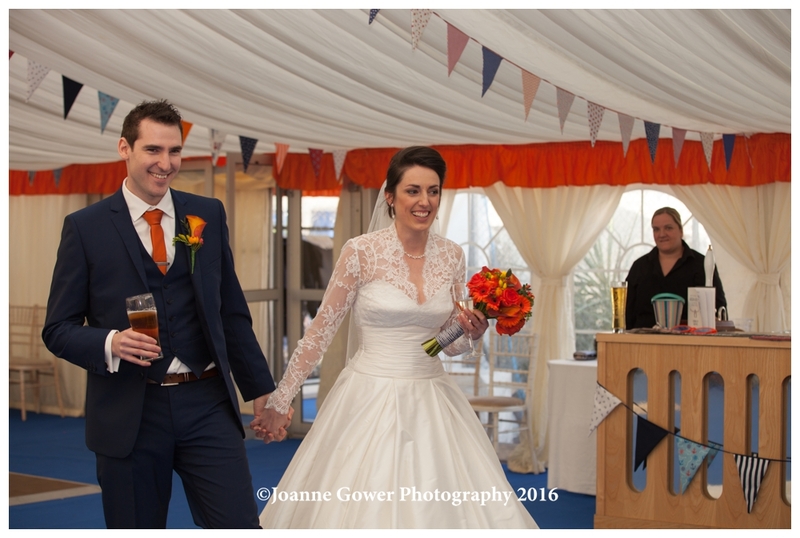 The marque was filled with music and guests chatted happily whilst enjoying celebratory drinks and sea side themed canapes. 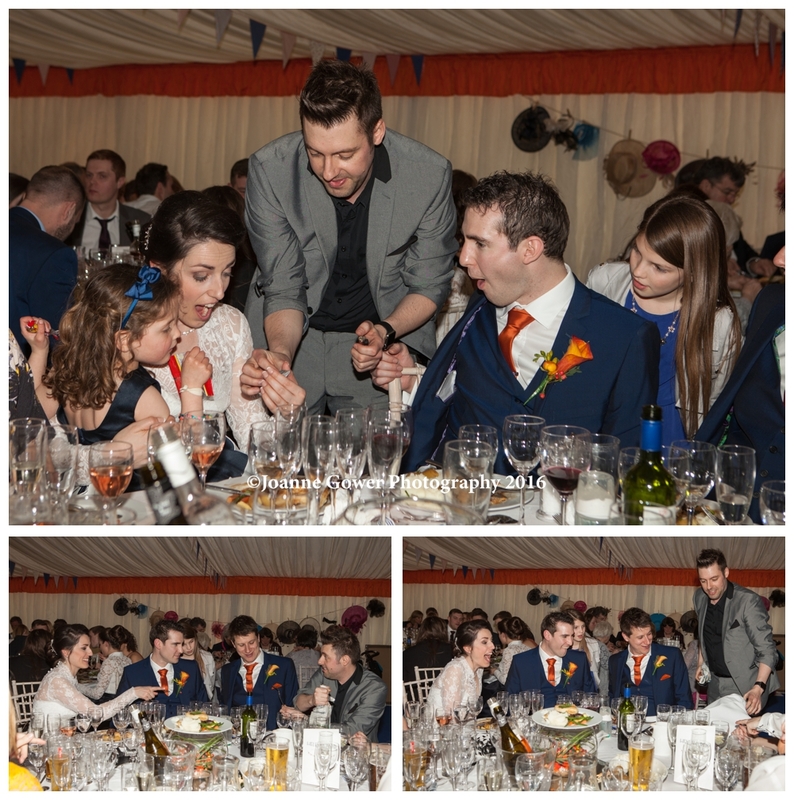 Speeches proceeded the meal to much applause and laughter and the guests were entertained by a magician. 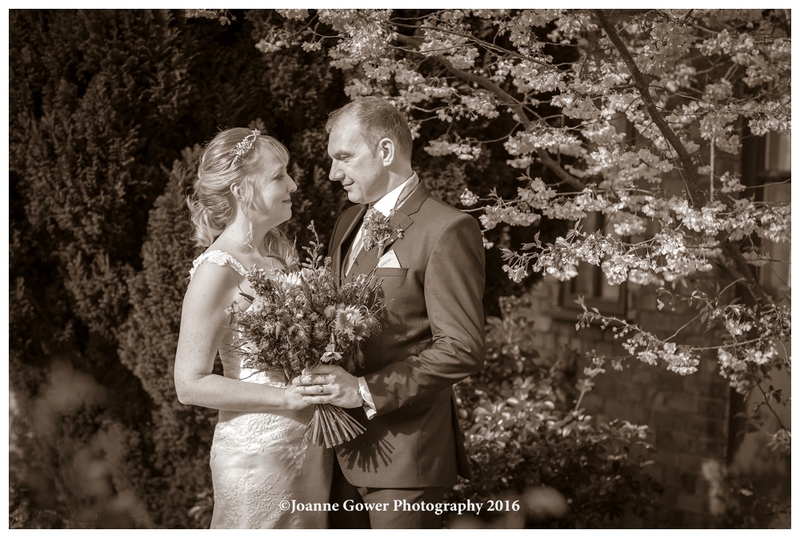 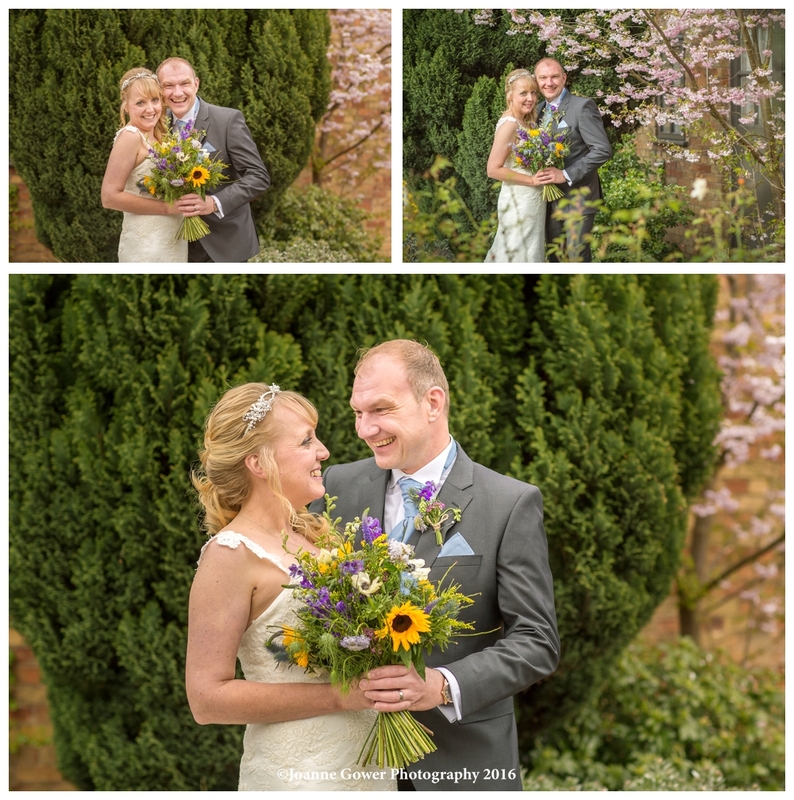 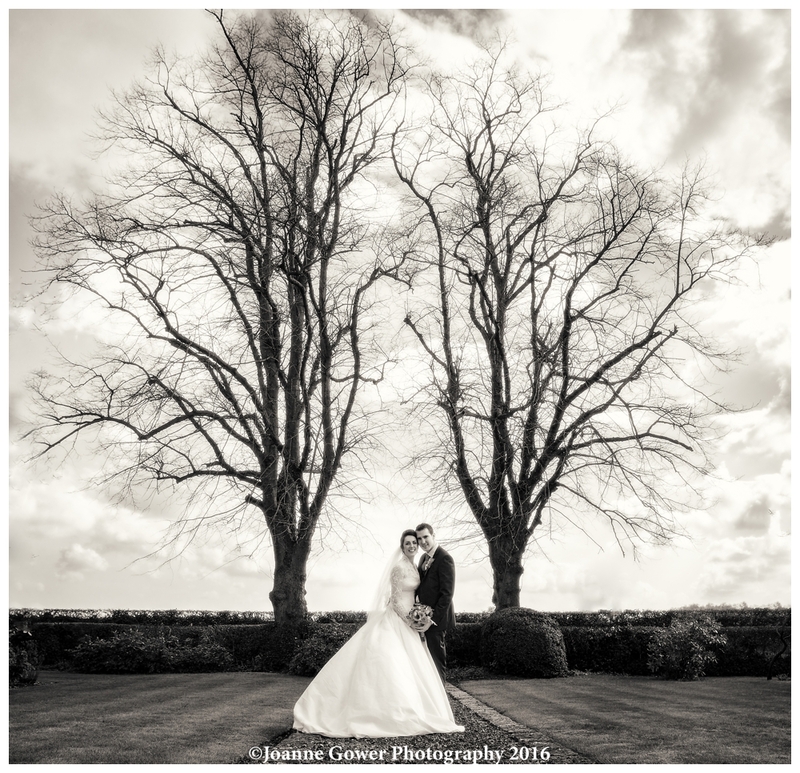 Helen and Robert are a really lovely couple and were very relaxed and natural with one another, and this came through in their photographs together. 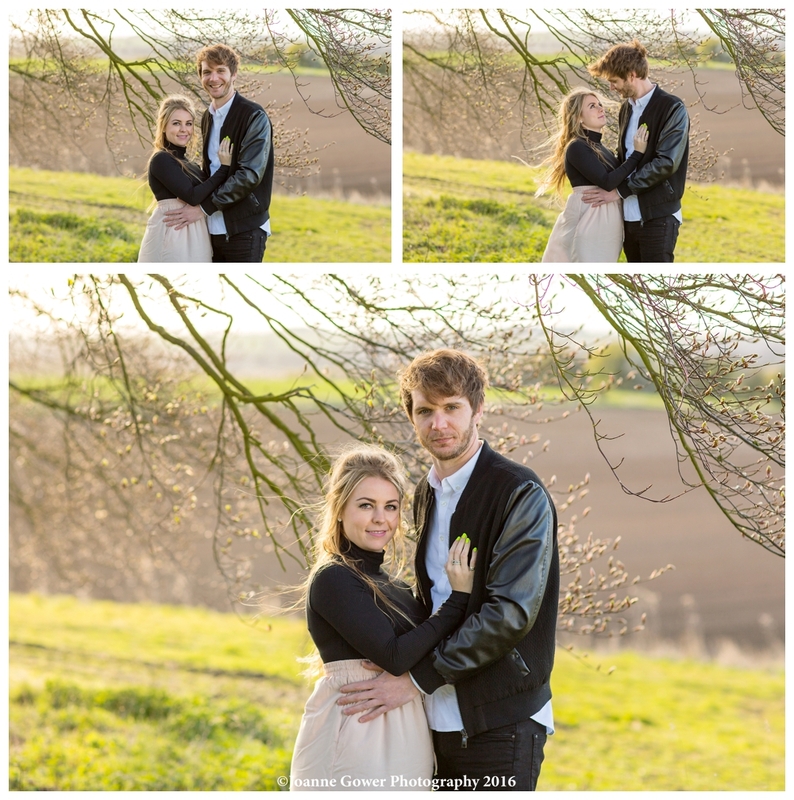 We wish them every happiness and look forward to sharing the rest of their wedding photography with them.